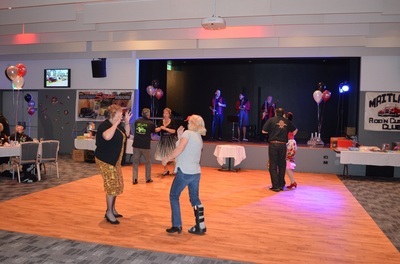 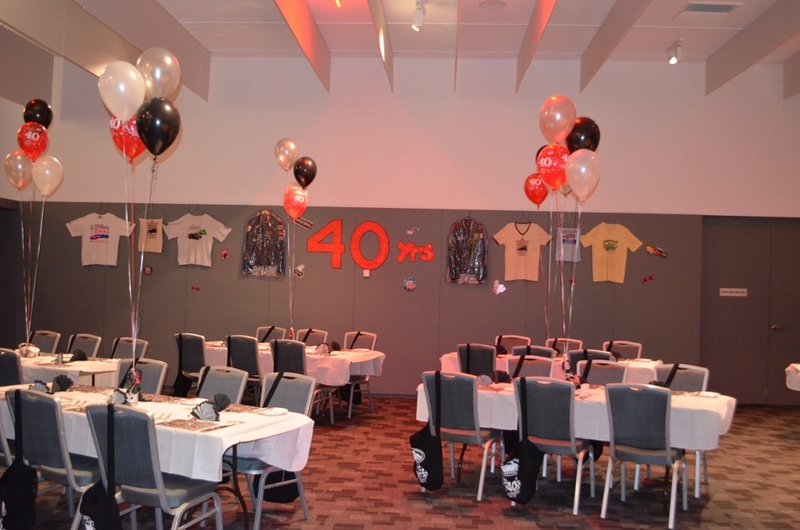 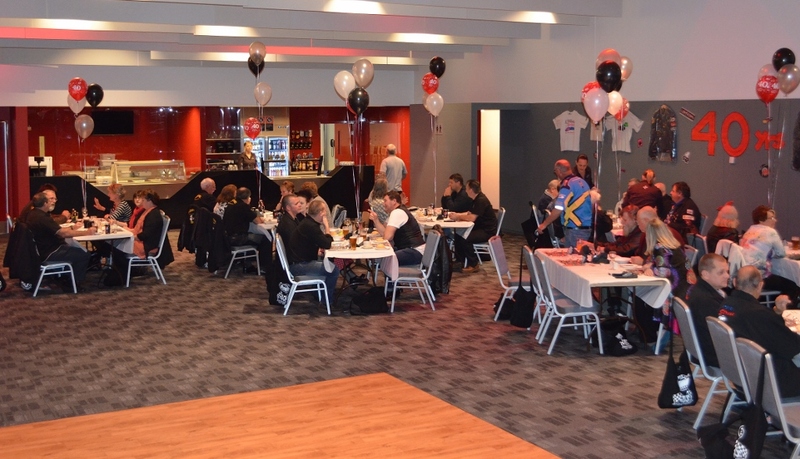 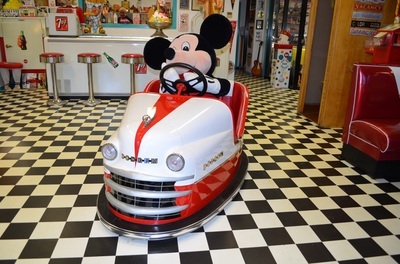 After a year of planning the 20th June 2015 finally arrived and it was time to decorate the hall for a great night out. 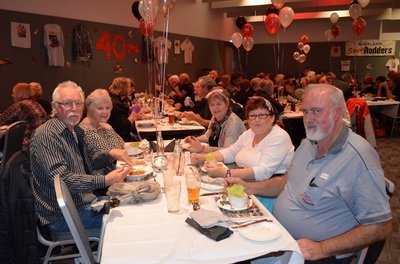 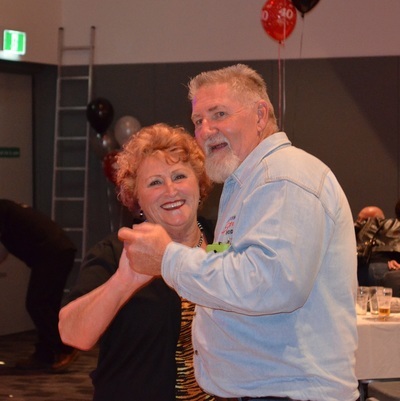 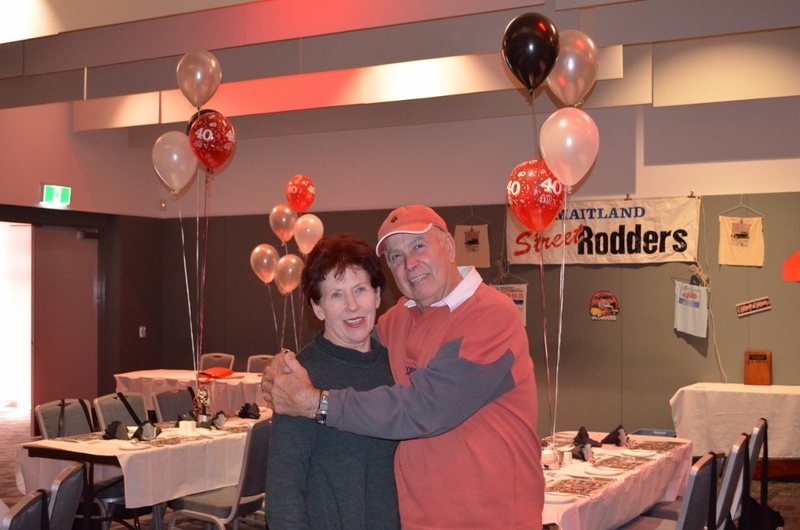 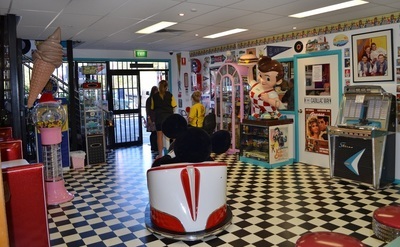 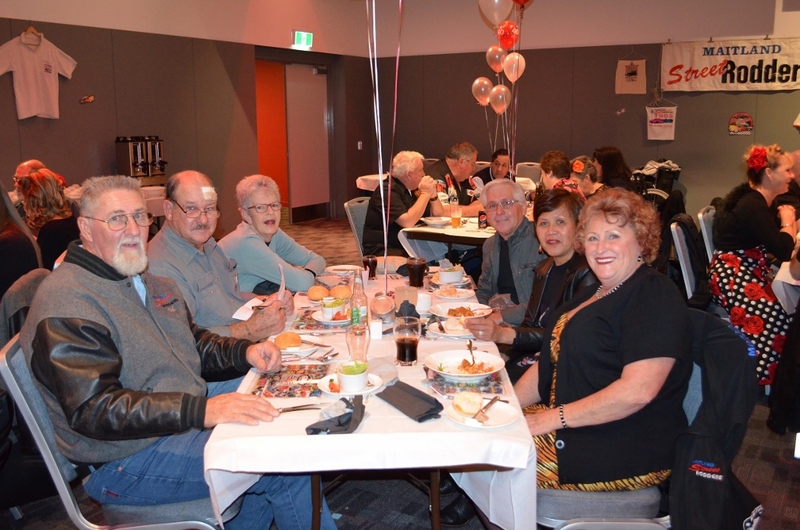 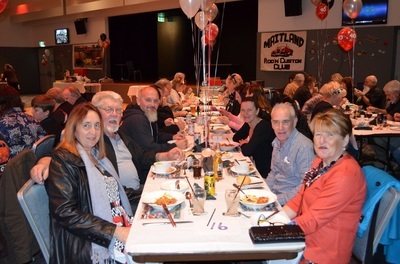 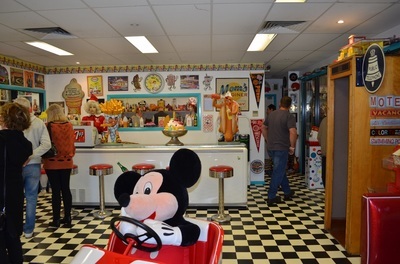 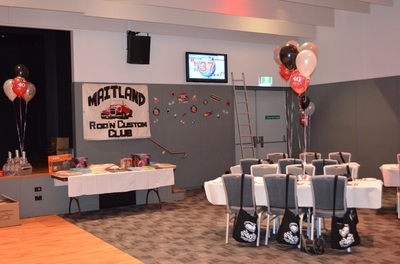 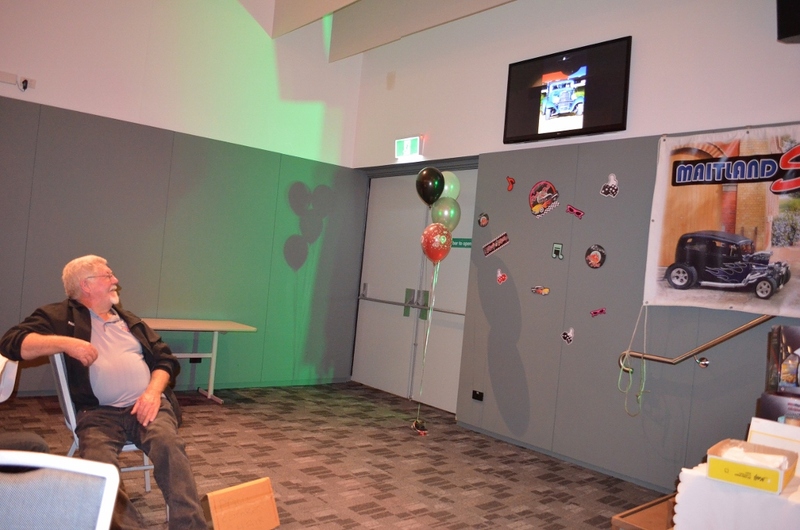 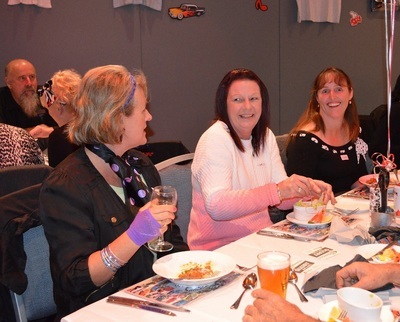 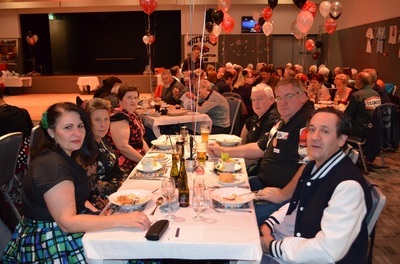 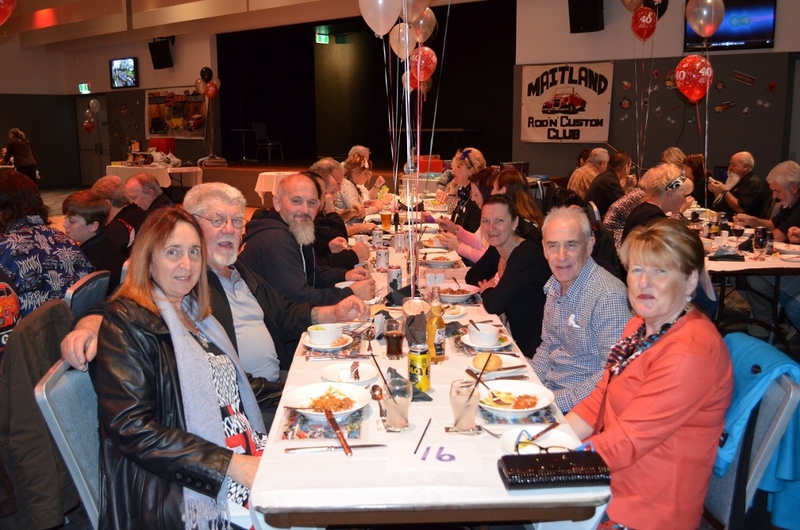 By the time the decorations were up the Ruby Room at Club Maitland City looked a treat and the nostalgia photos were taking everyone's attention. 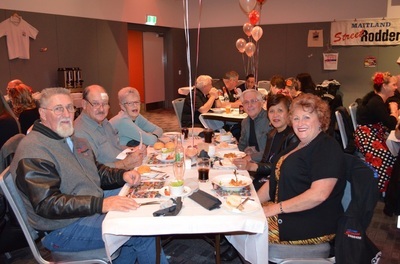 The guests started to arrive at 6:15pm and enjoyed drinks and catch up time until the entrée was served at 7pm followed by the main course. What a meal everyone enjoyed and it was so plentiful that some could not manage to eat it all. 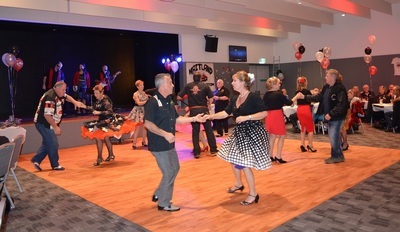 Just after 8pm the band Jumpin Jukebox started to play and the dancers amongst us were on the floor making colourful entertainment for those of us less energetic. 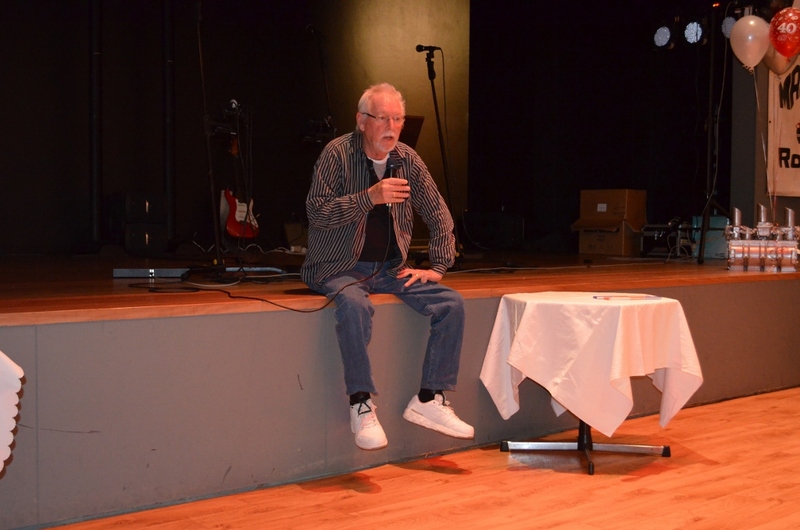 The speakers were next with Col, Norm and Dave having a few words and Garry giving us the history of Maitland Street Rodders. 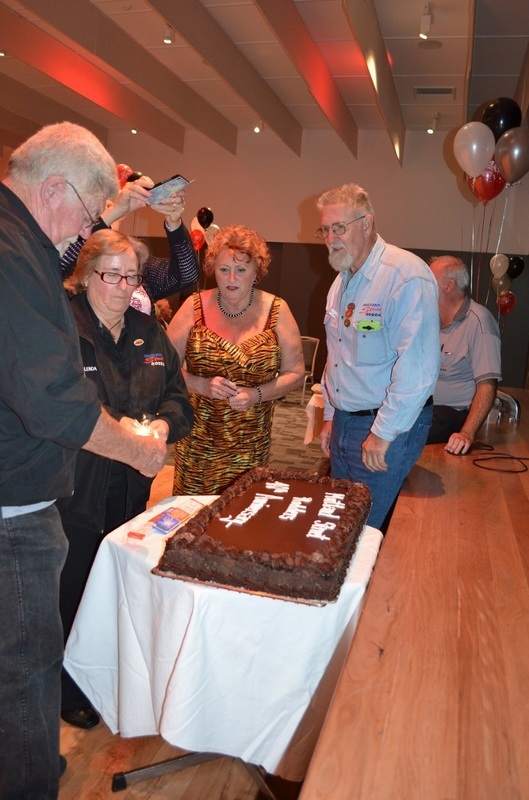 The Band played another set and then the continuous membership awards were presented followed by Group photos and the cutting of the cake. 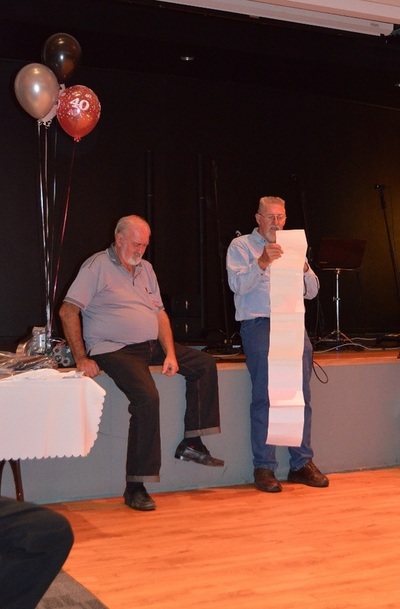 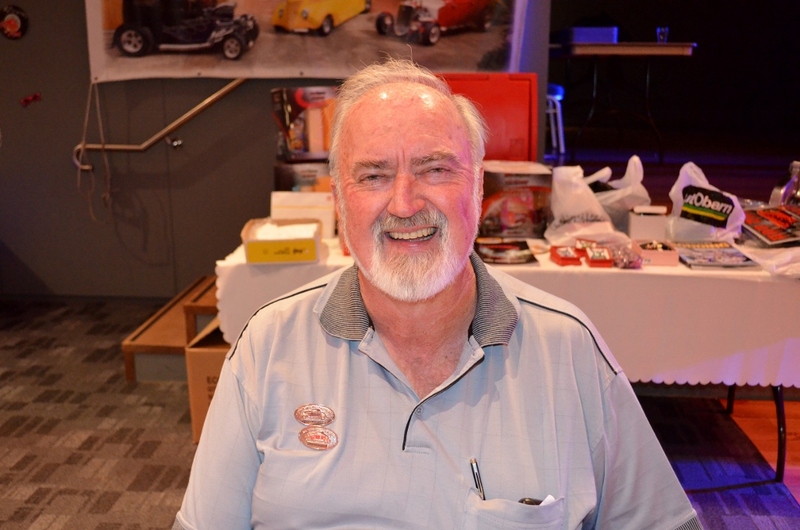 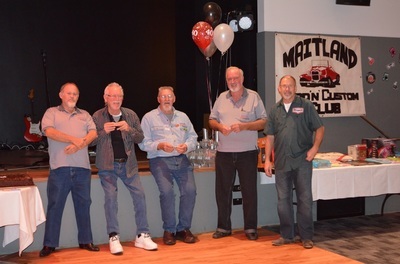 Noel, Col, Dave, Norm, Arthur, Rob and Glen received 15 year awards - Noel, Col, Dave, Norm and Arthur received 25 year awards - then Noel received a 40 year award and Life Membership to Maitland Street Rodders. 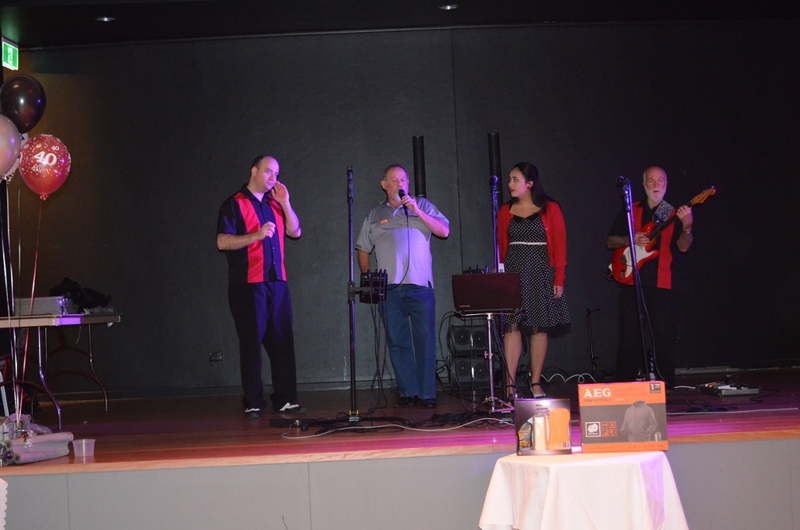 The Band played another set which was followed by the lucky door prizes. 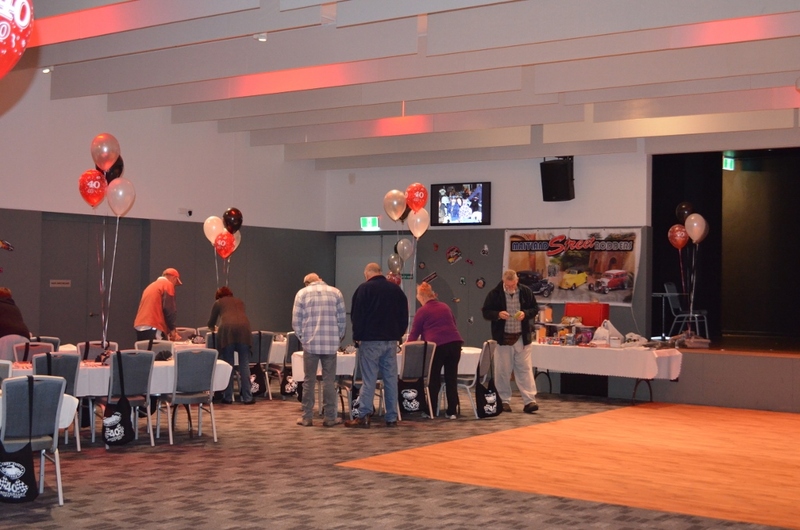 Over 30 lucky guests receiving something on top of the great goodies bag everyone received containing a special mug and stubby holder along with other goodies. 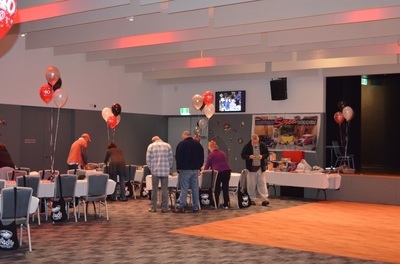 We also had a quick auction before drawing the winners of our monster raffle with 1st prize going to Steve Morgan, 2nd to Mark Mexon and 3rd to Scott Whitaker. 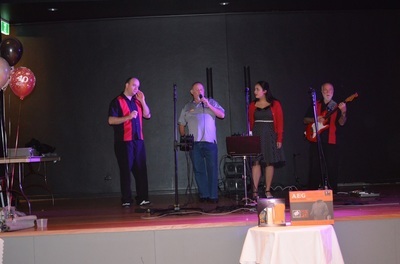 The band then played until 11:30pm when it was time to pack up and leave. What a great evening and a fitting reward for all those that helped bring it together and set it up. 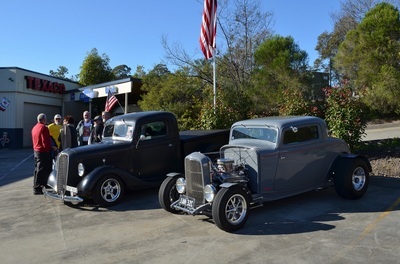 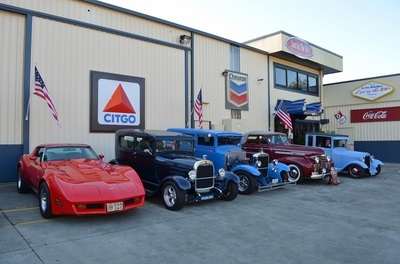 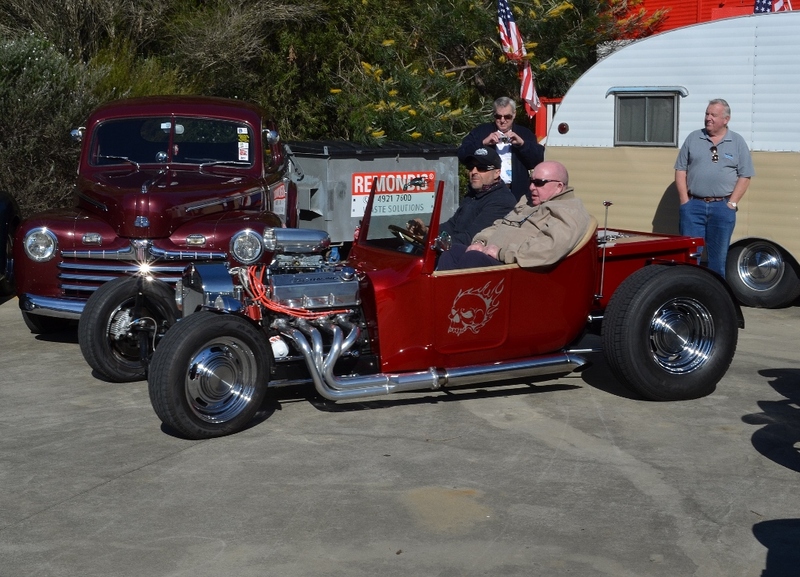 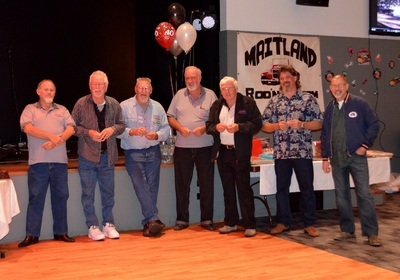 It was pleasing to have 7 past members of the club come and enjoy the party along with members of other local Hot Rod clubs. 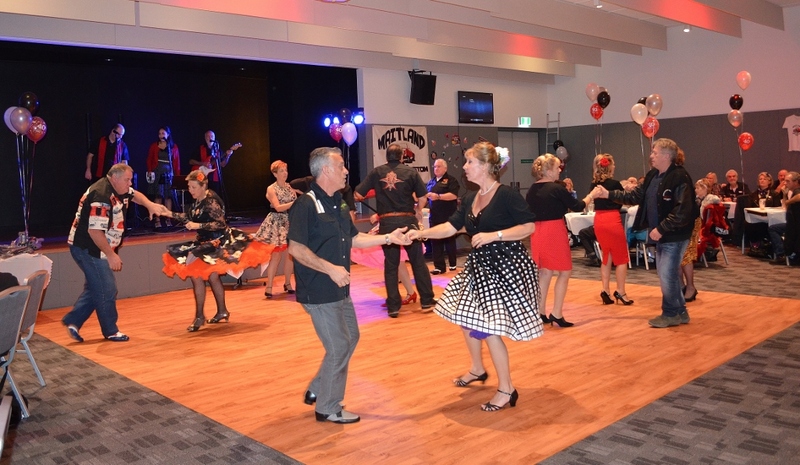 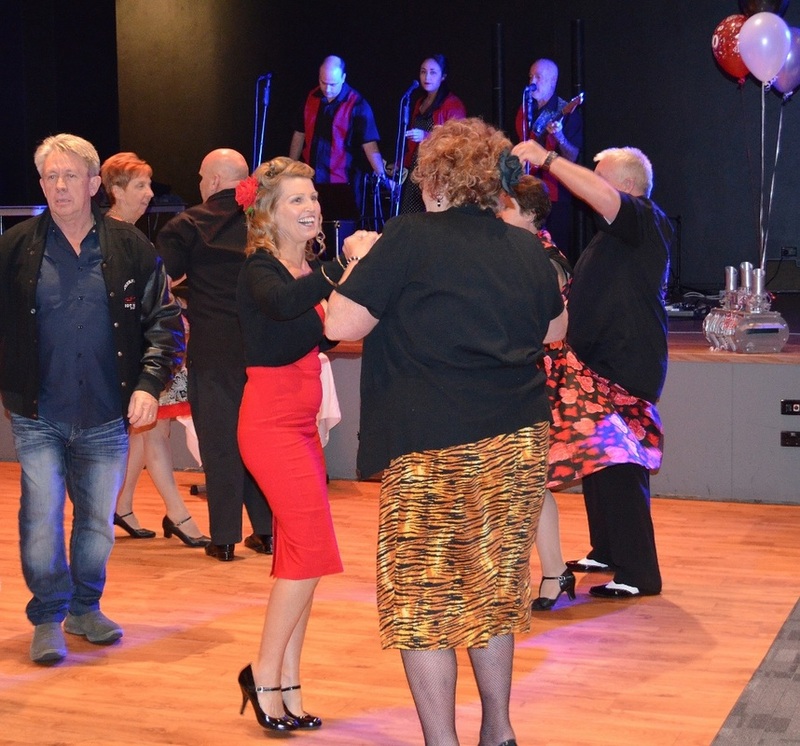 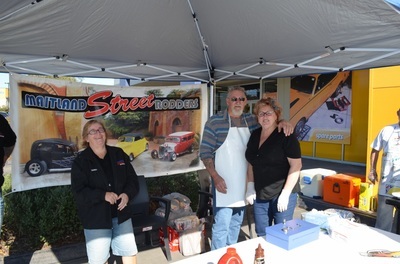 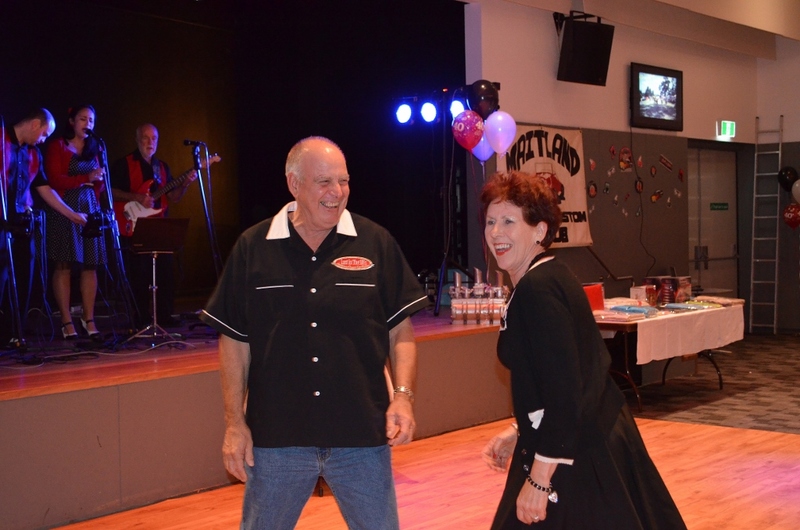 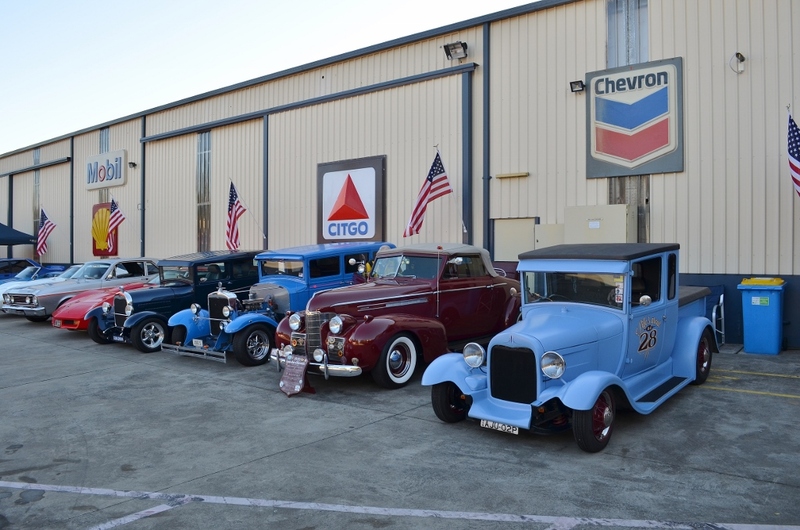 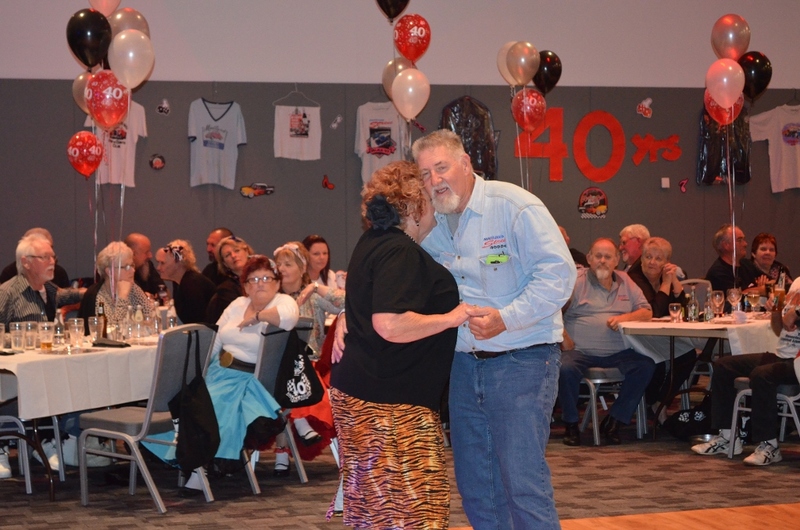 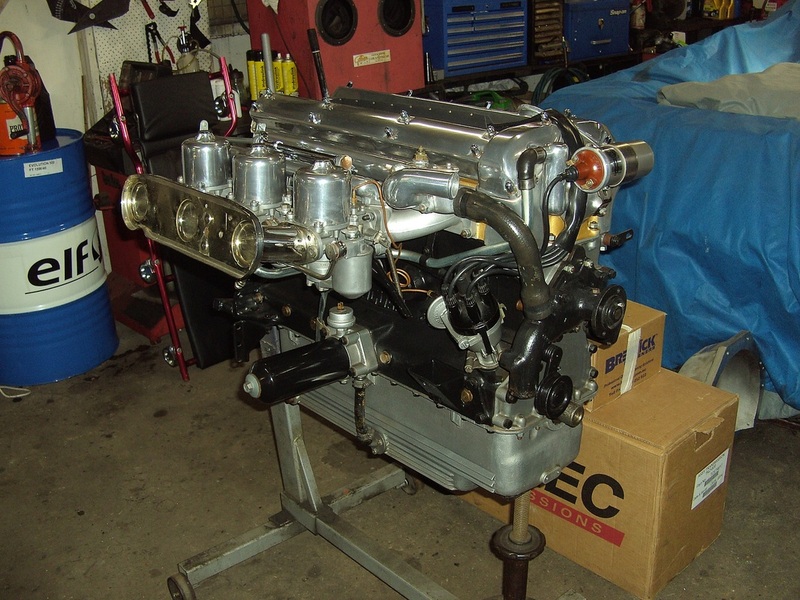 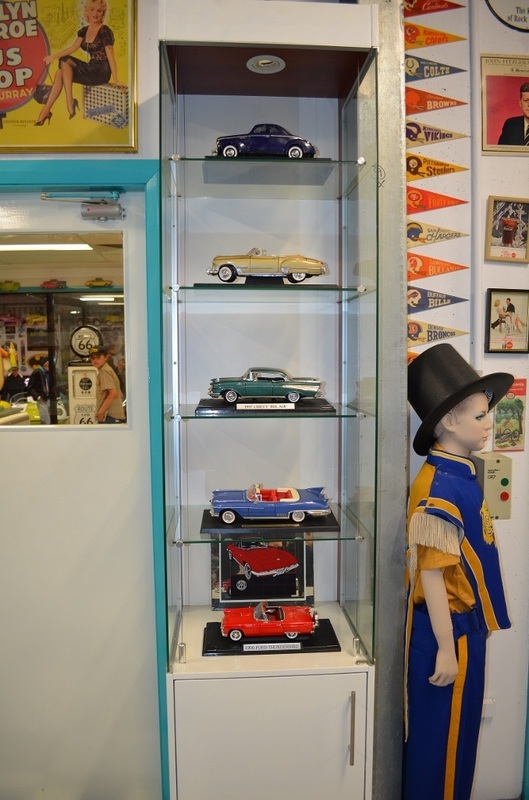 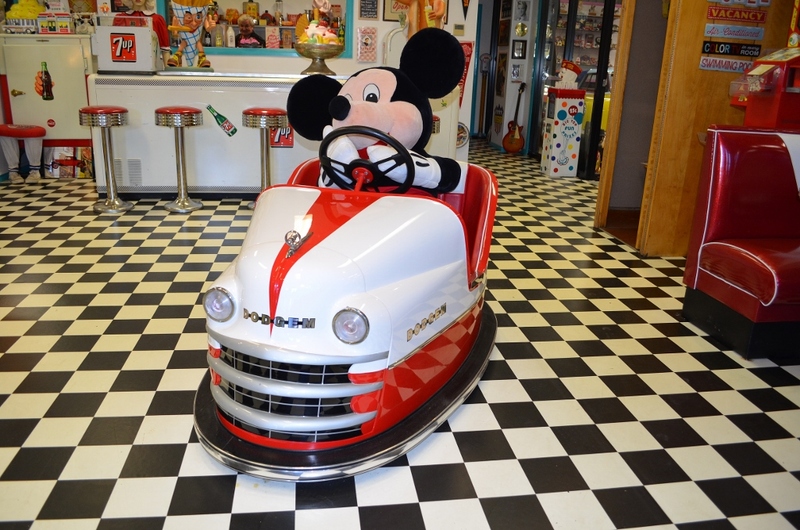 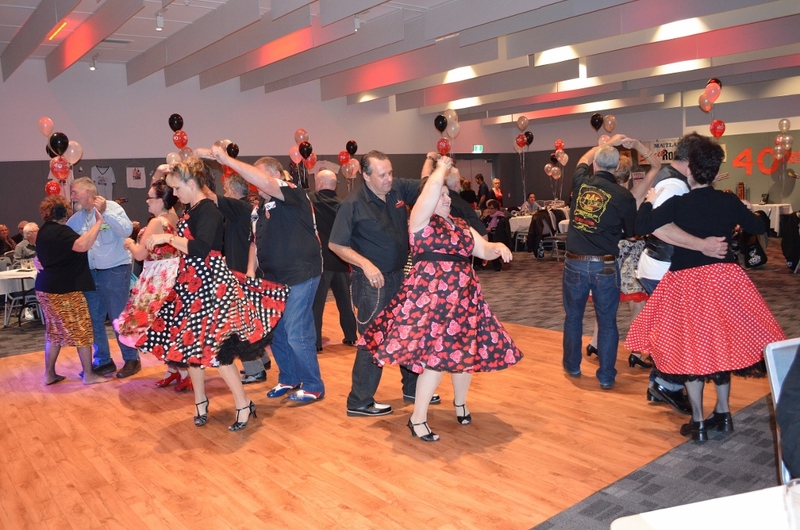 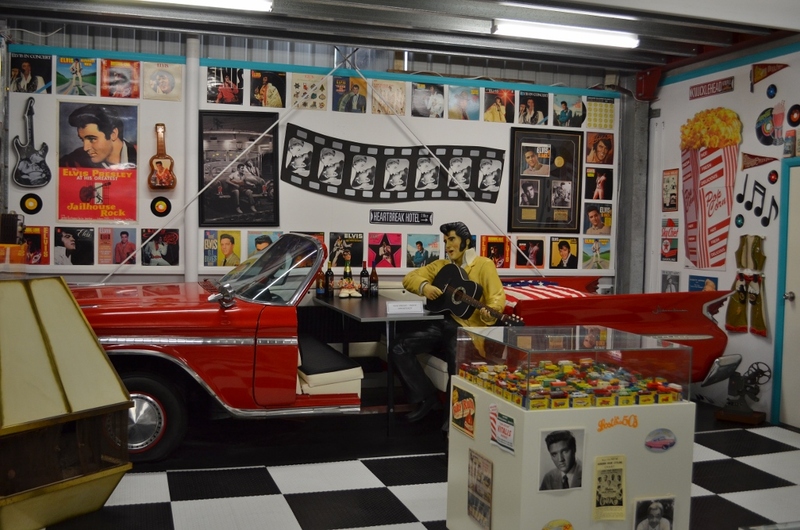 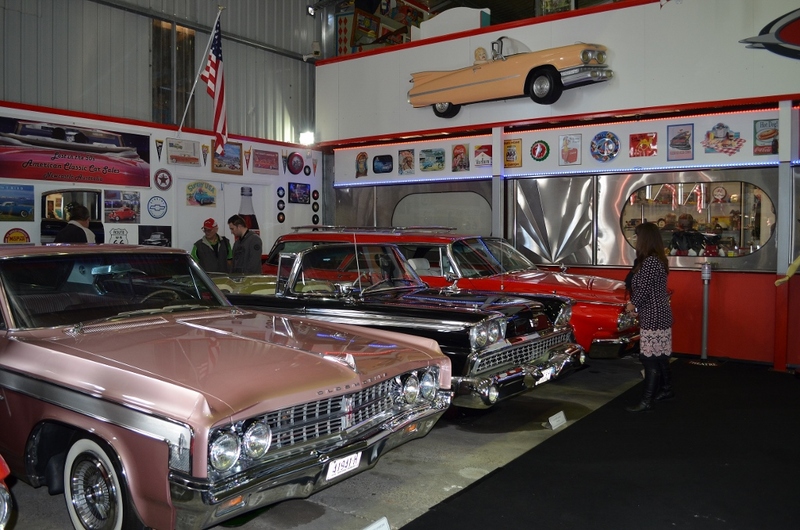 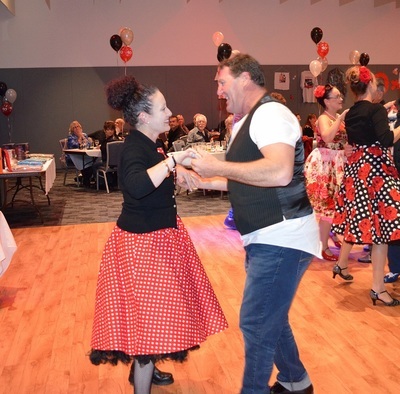 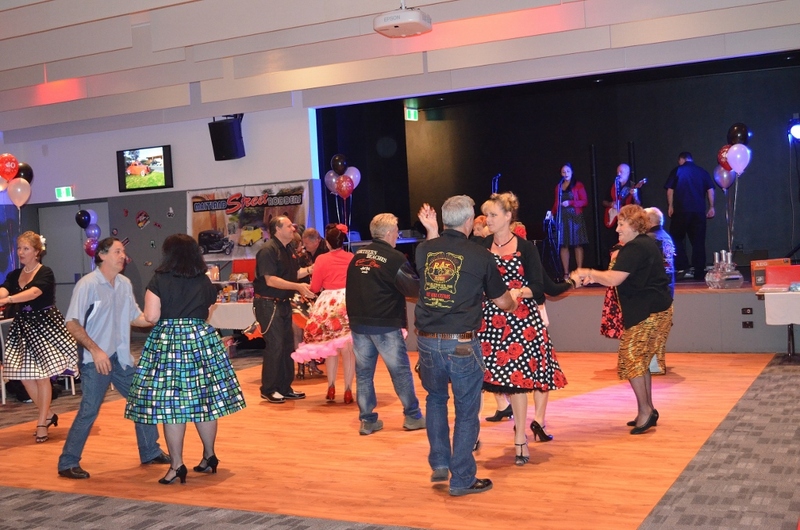 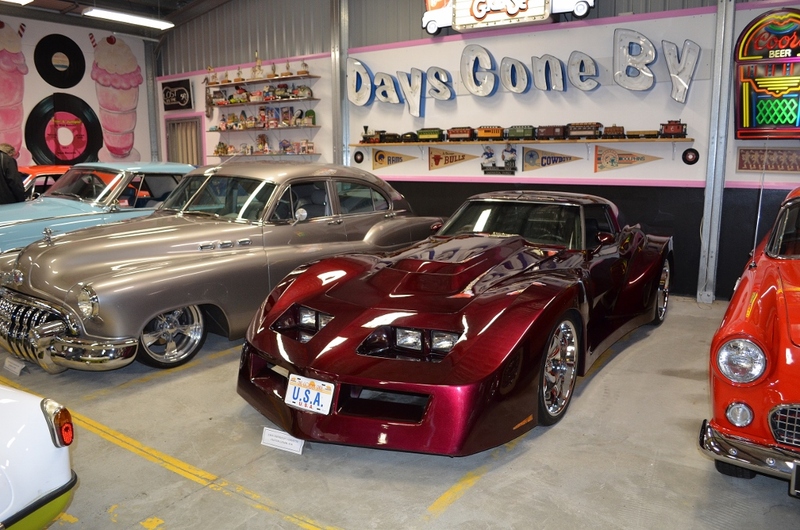 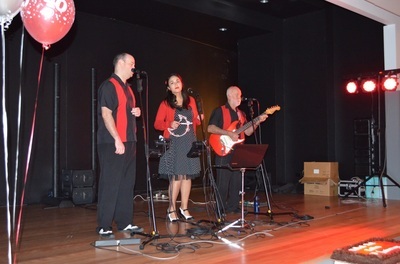 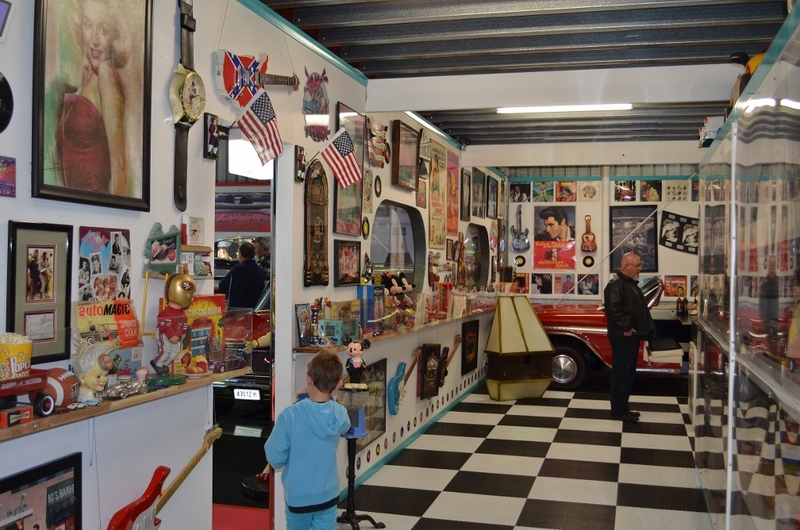 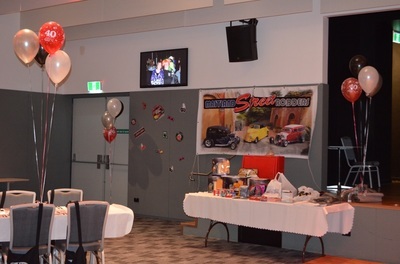 We also had Hot Rodders from interstate and a local dance club that added a great atmosphere to the evening. 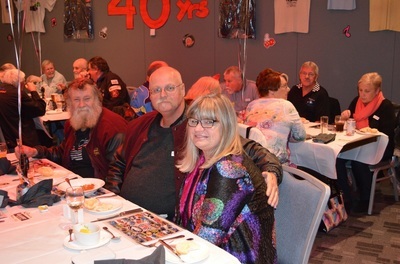 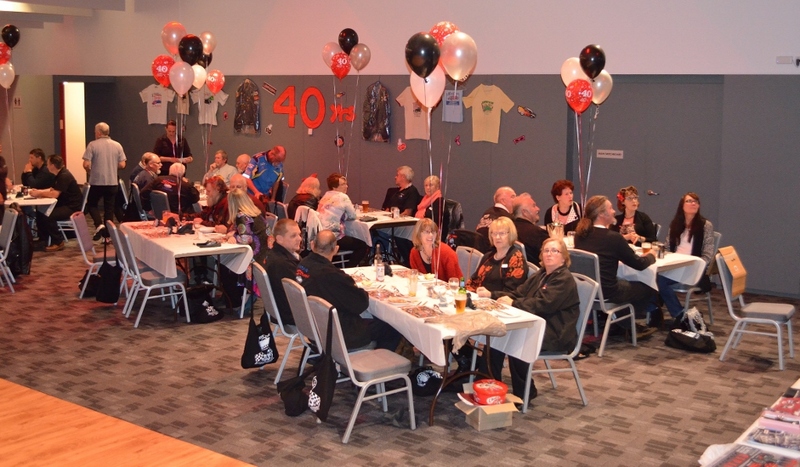 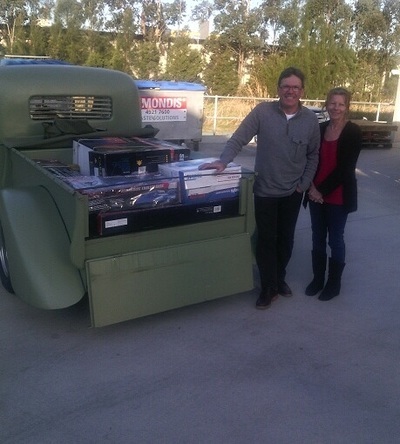 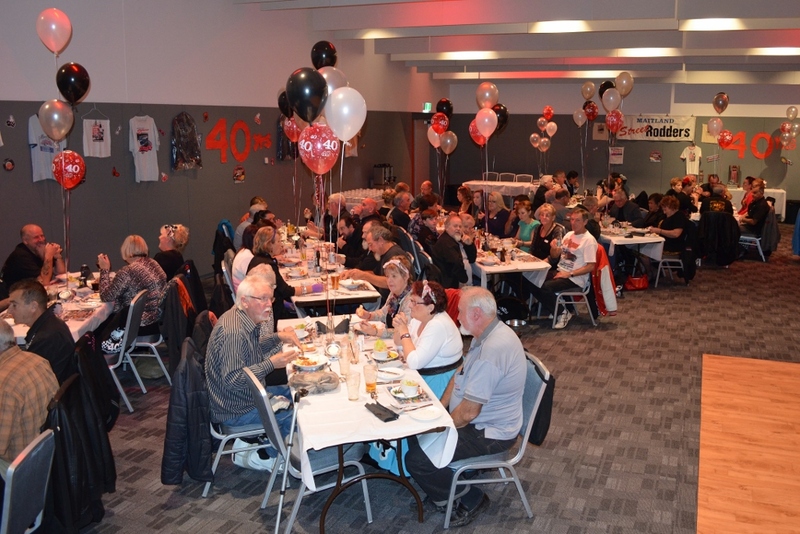 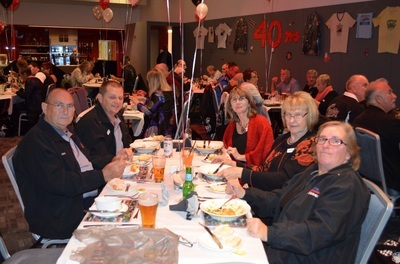 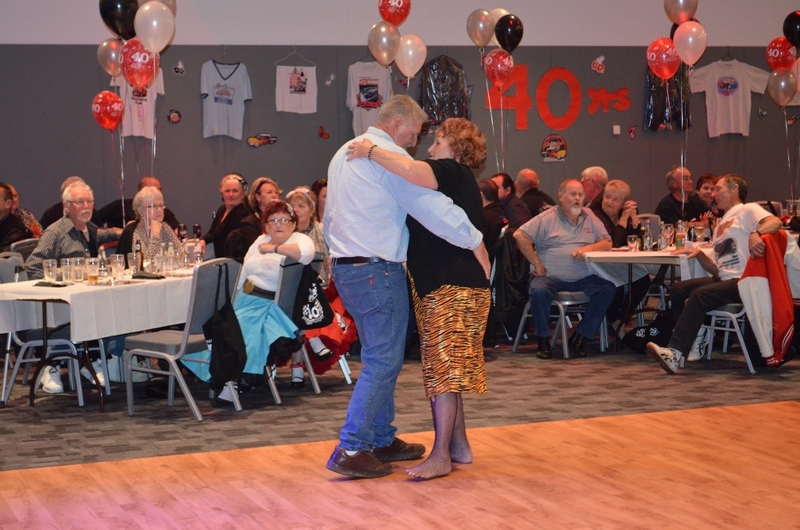 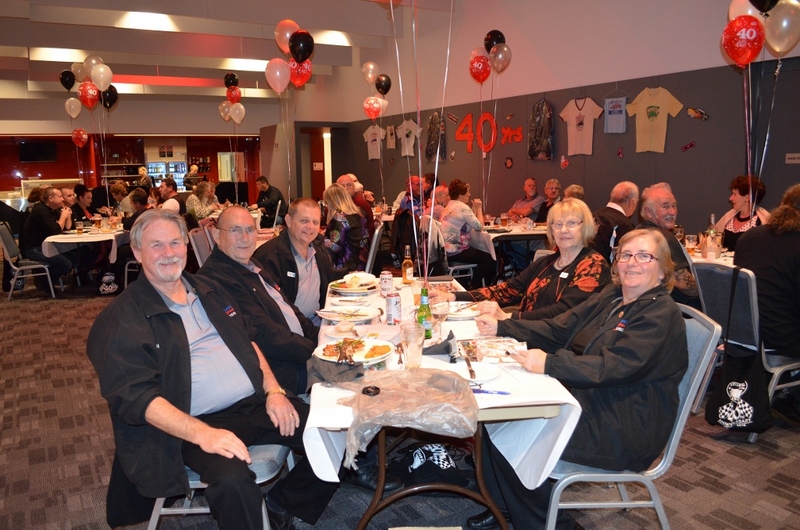 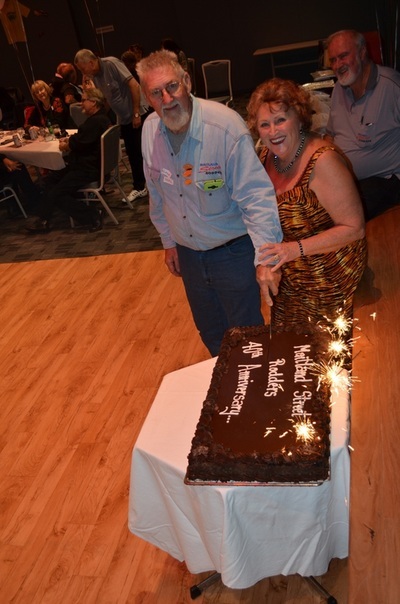 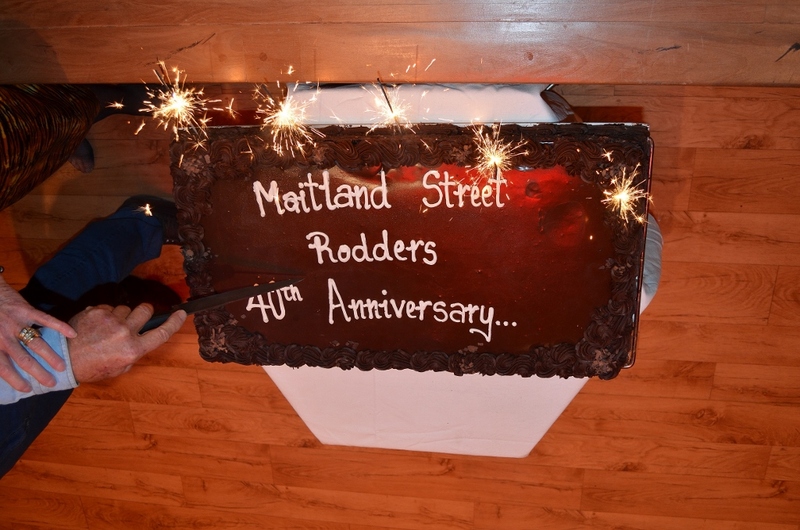 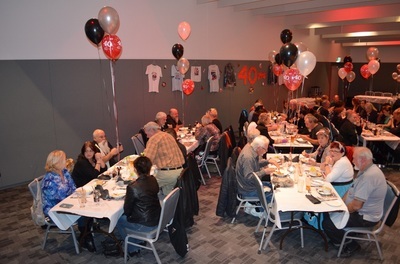 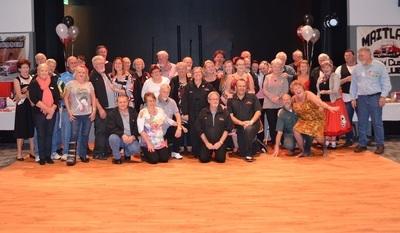 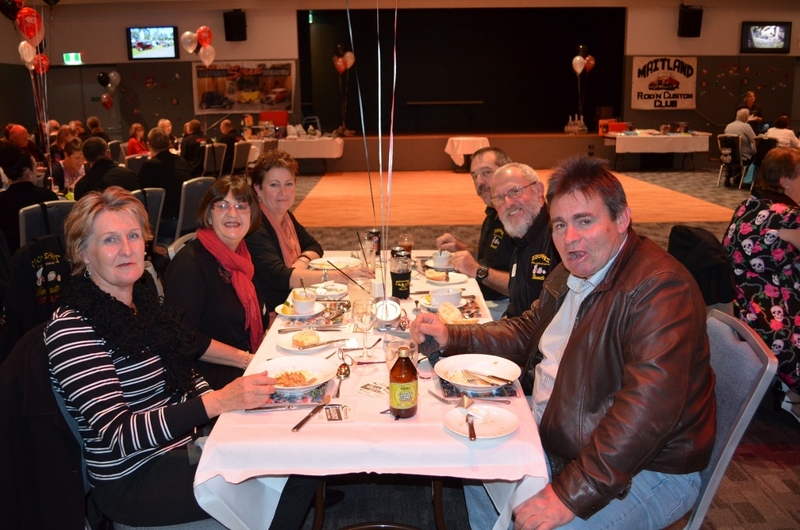 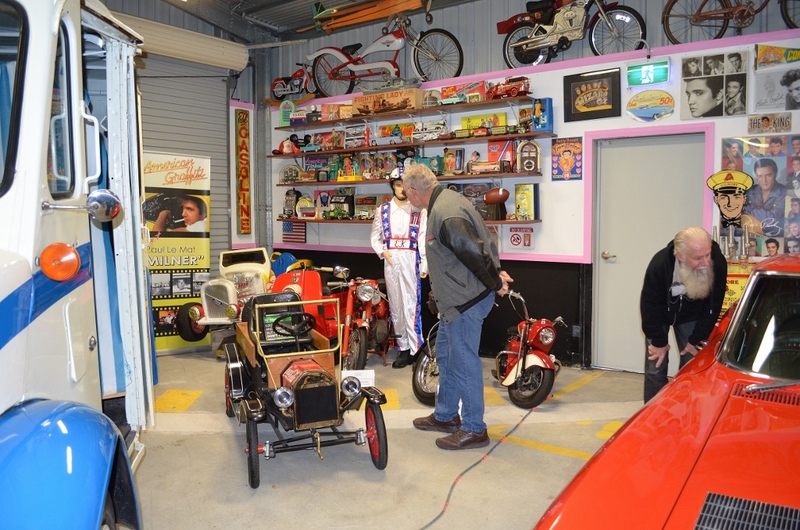 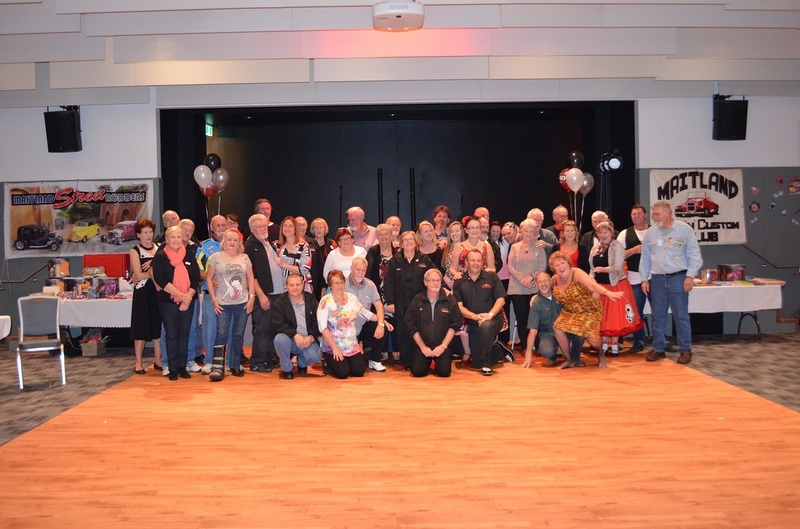 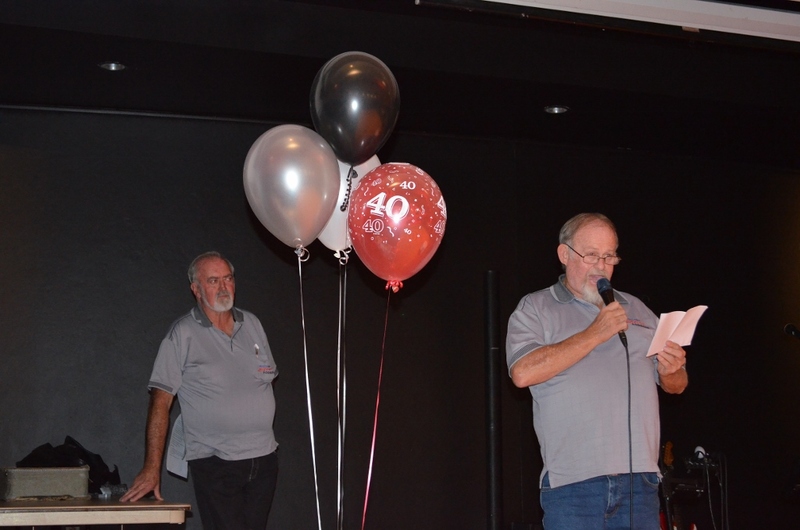 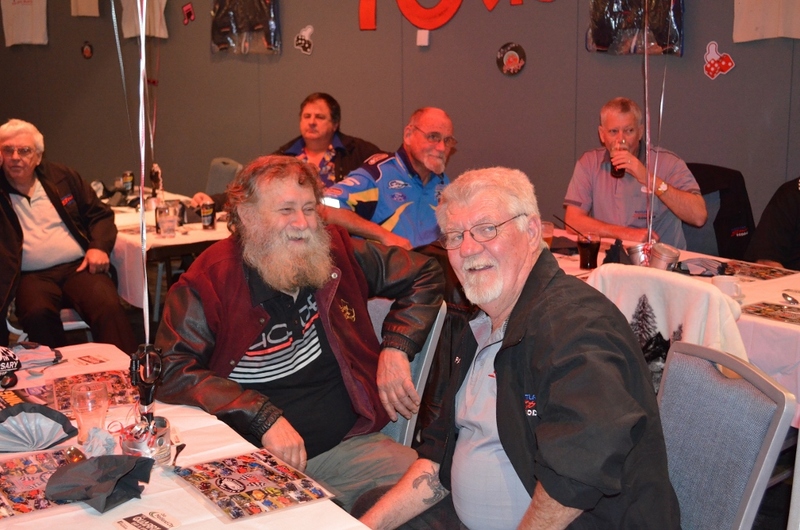 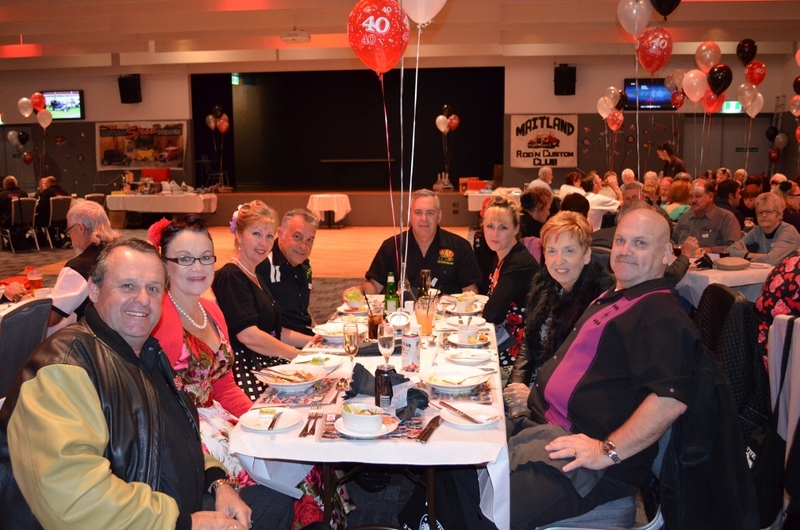 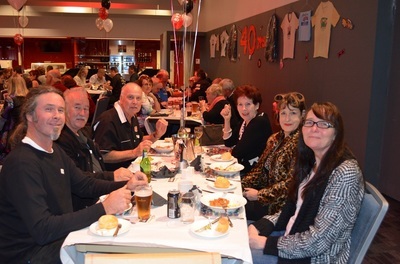 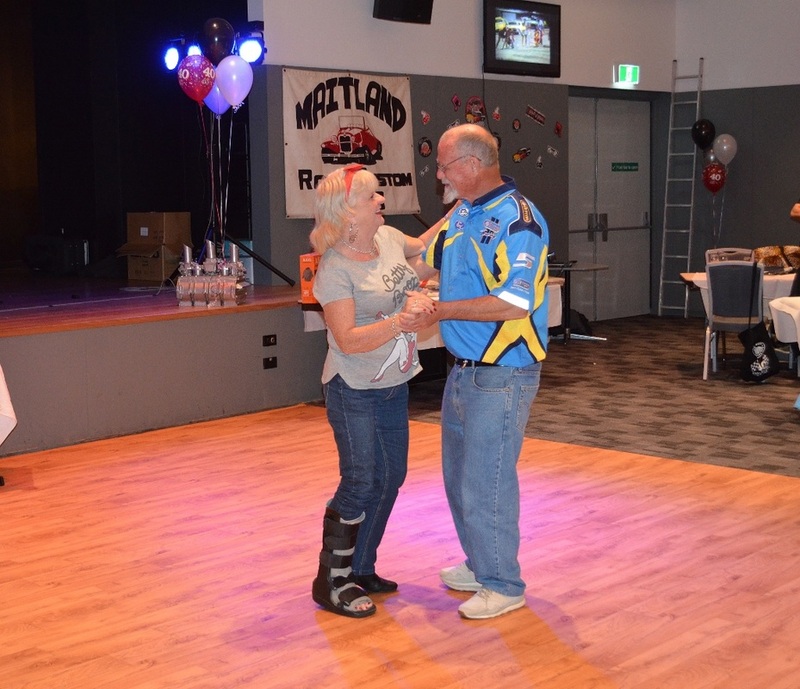 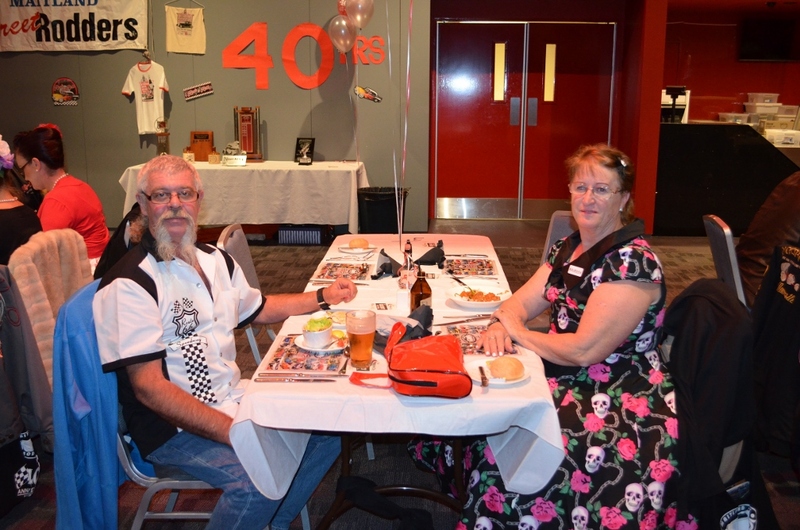 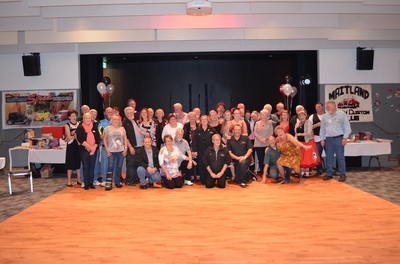 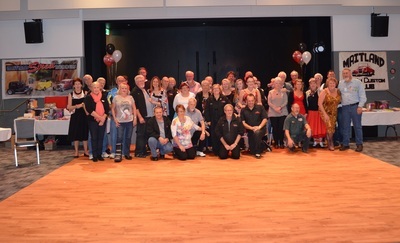 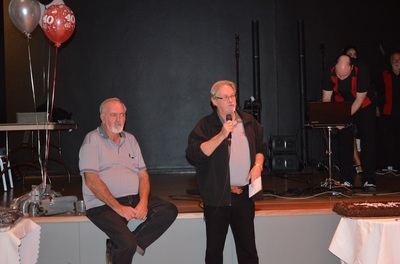 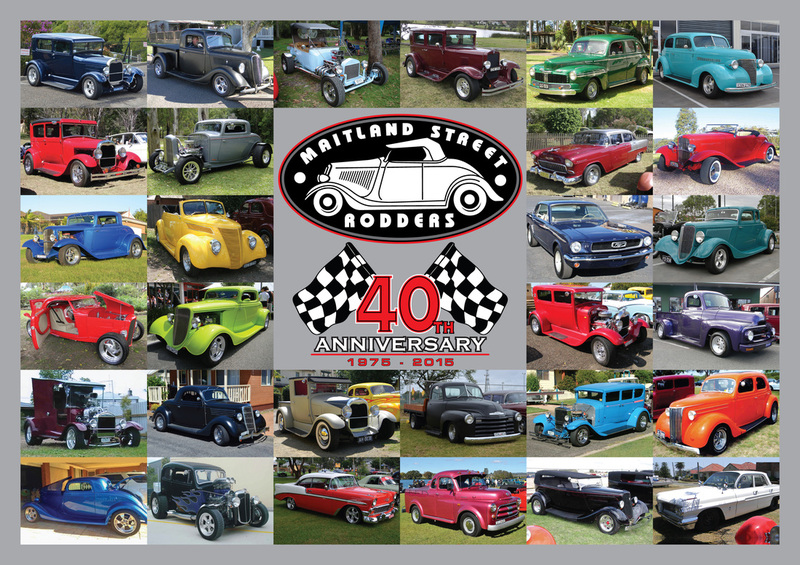 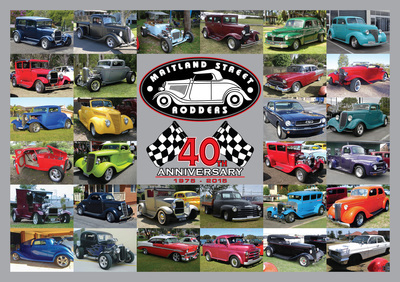 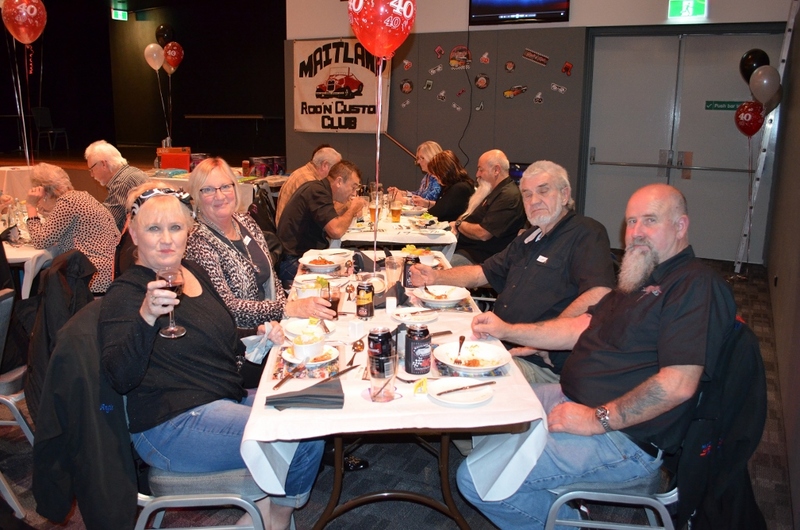 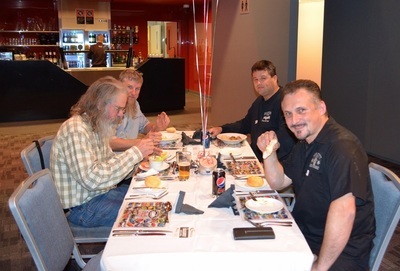 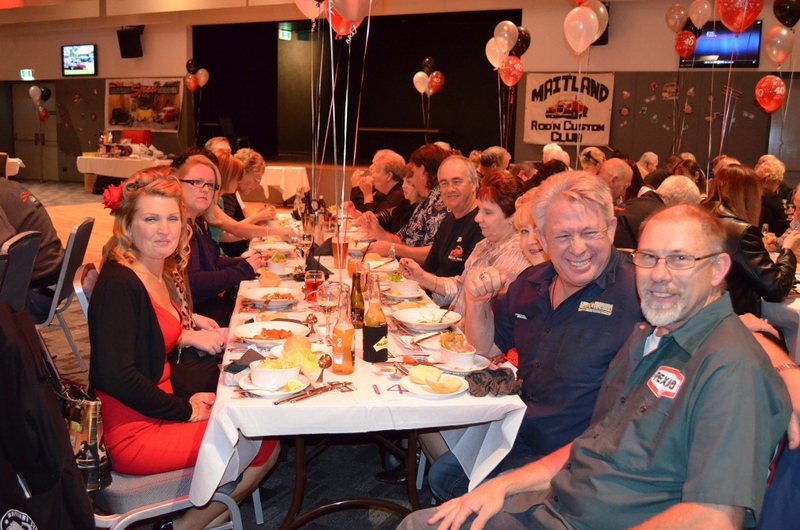 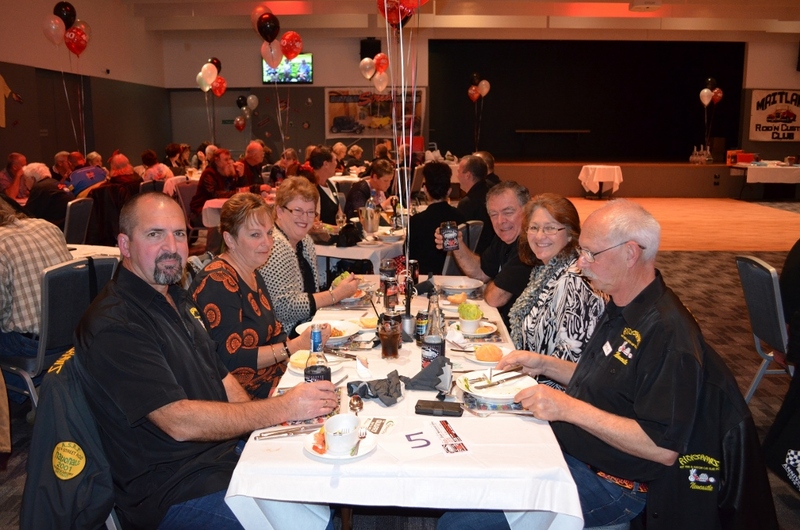 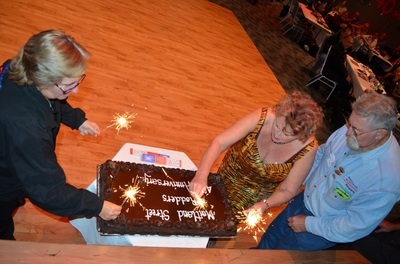 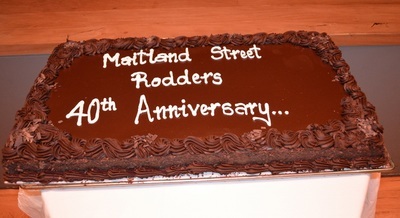 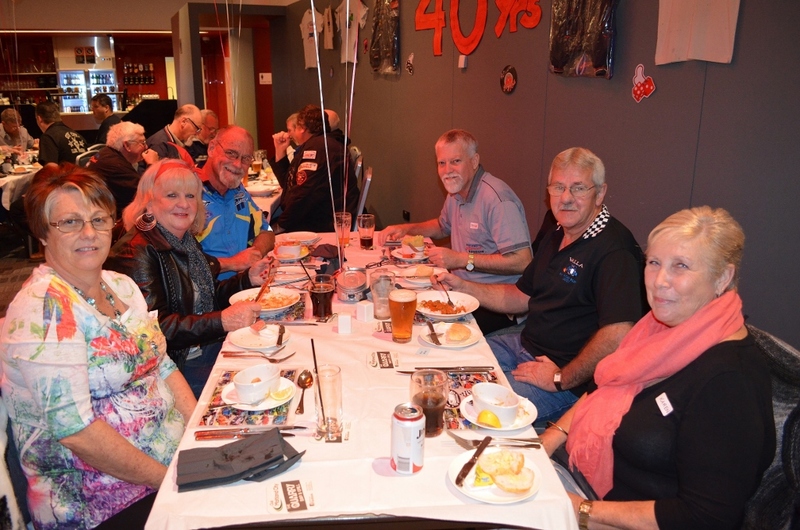 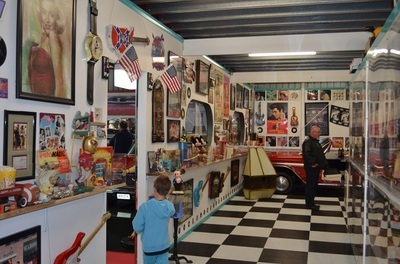 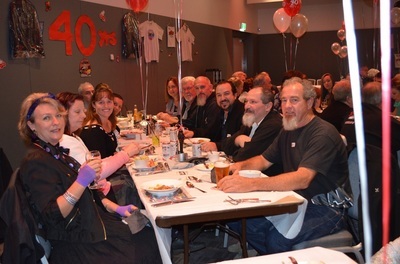 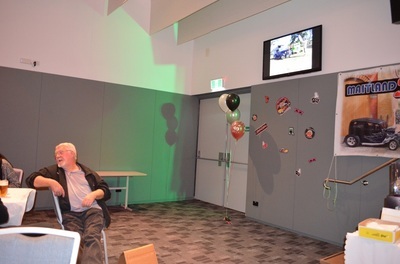 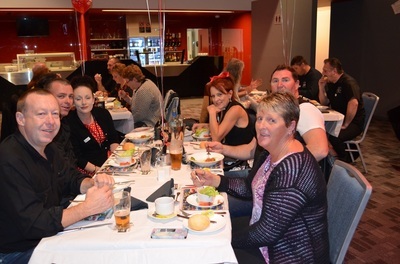 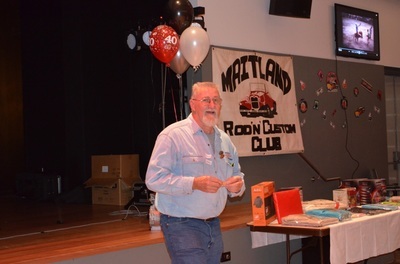 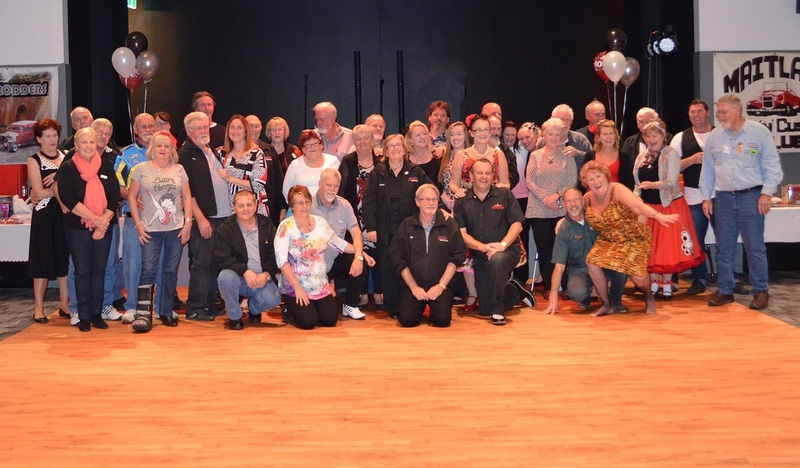 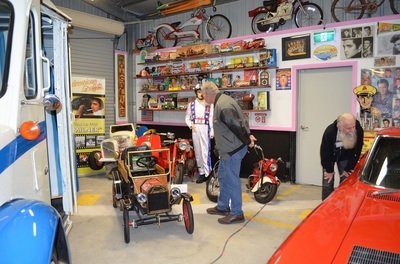 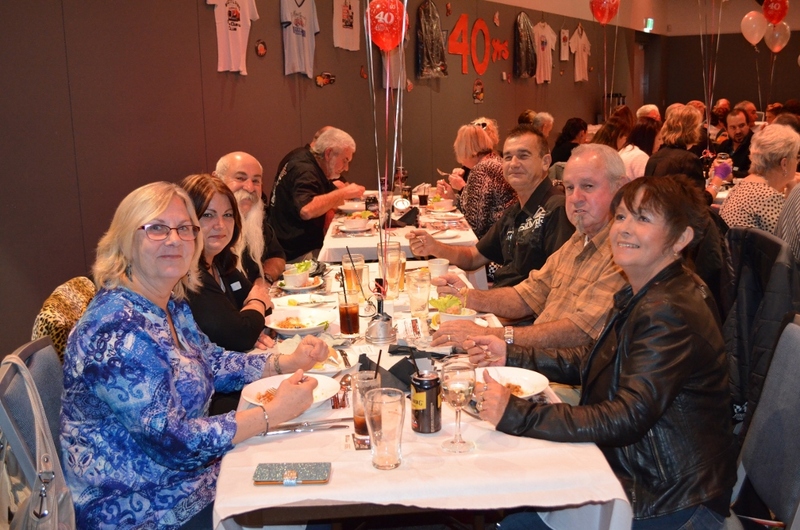 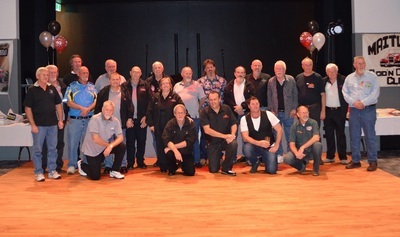 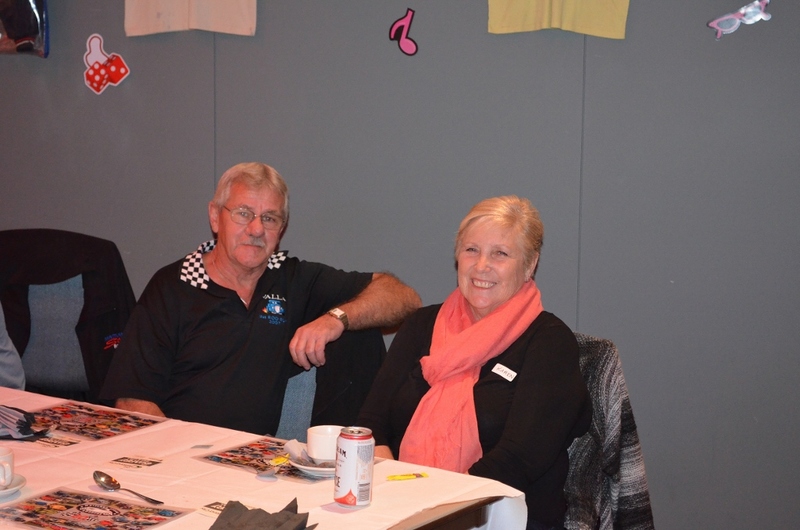 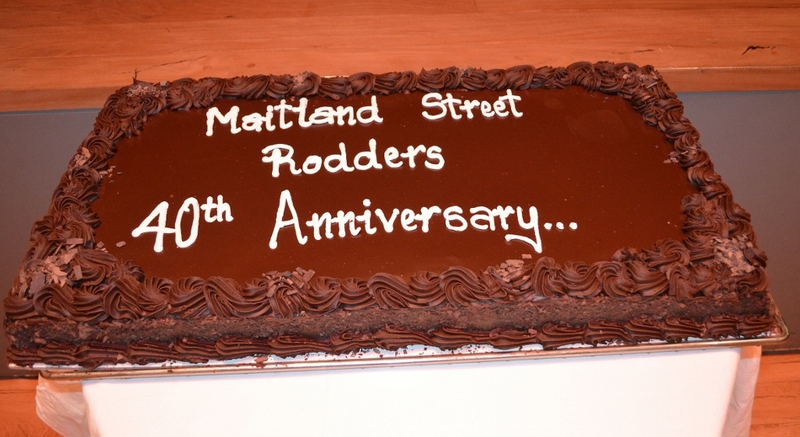 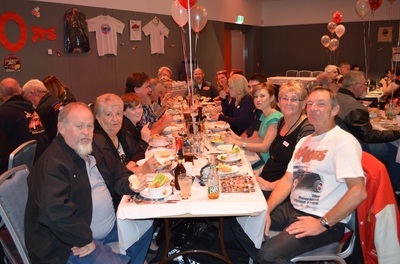 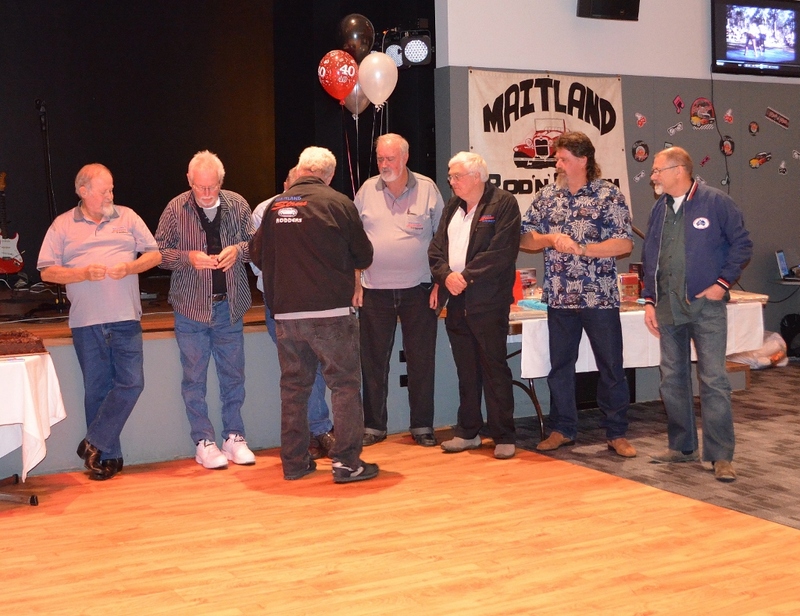 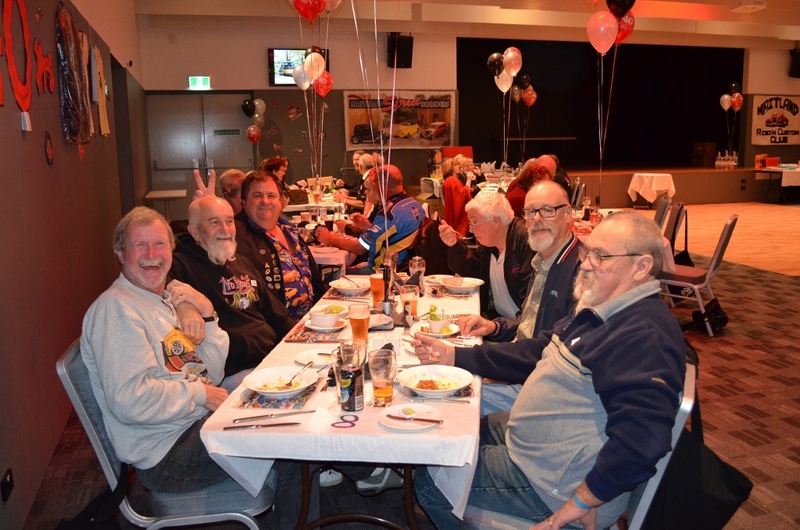 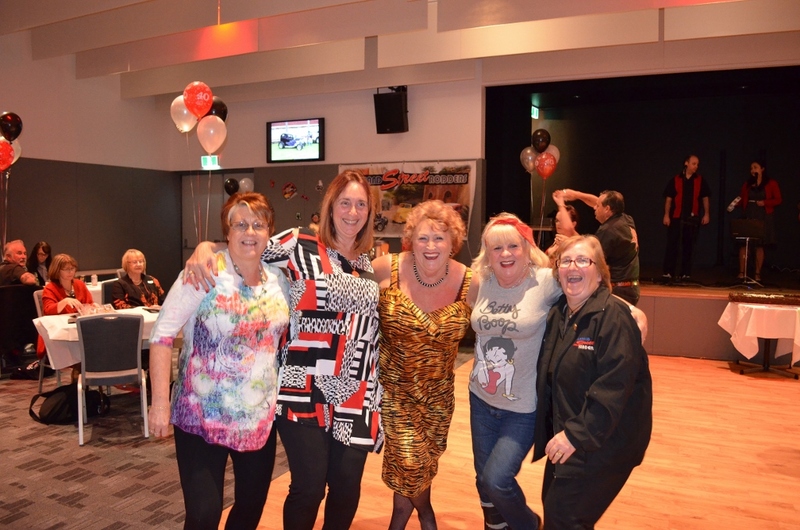 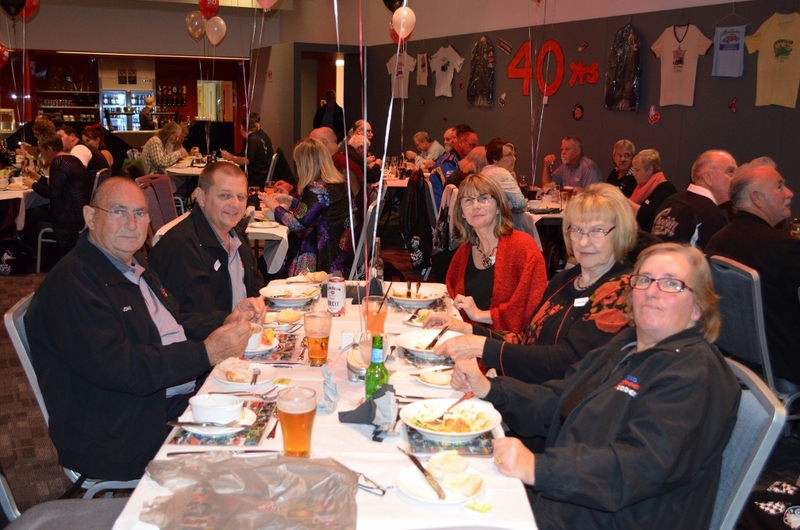 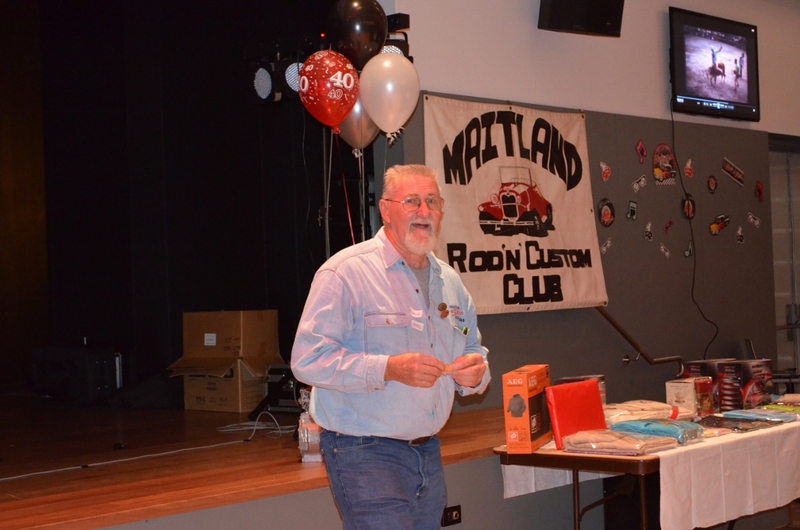 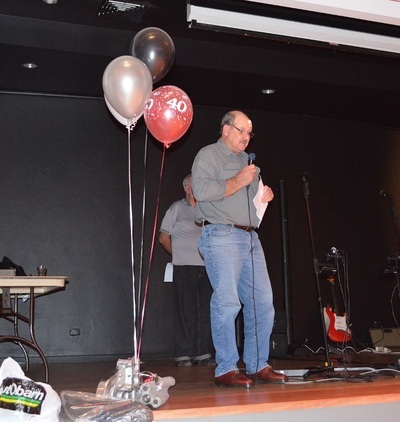 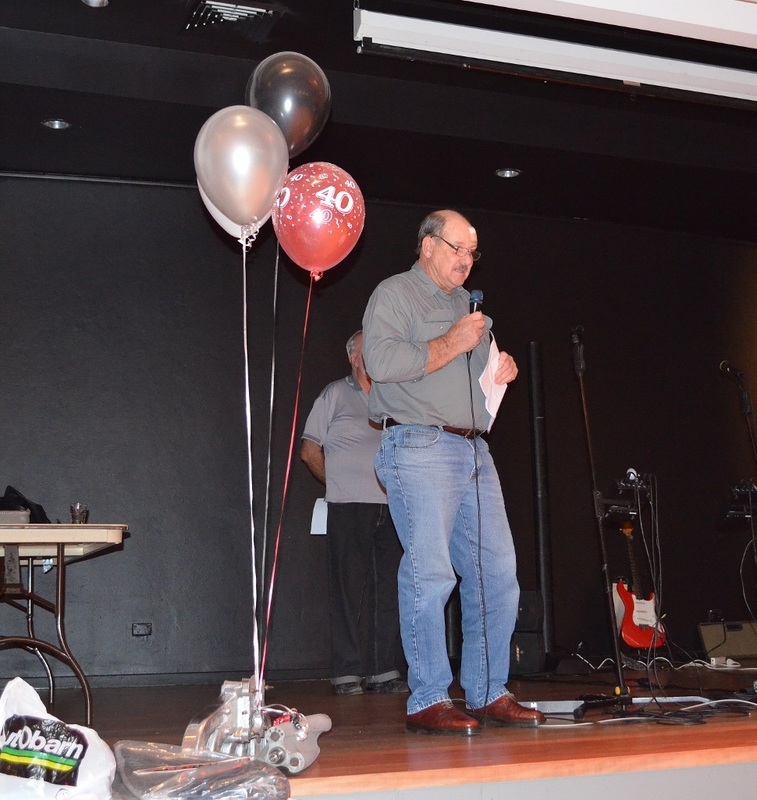 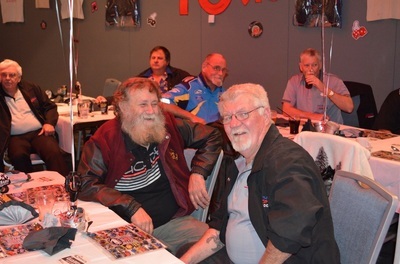 Thanks to everyone that attended Maitland Street Rodders 40th Anniversary Party. 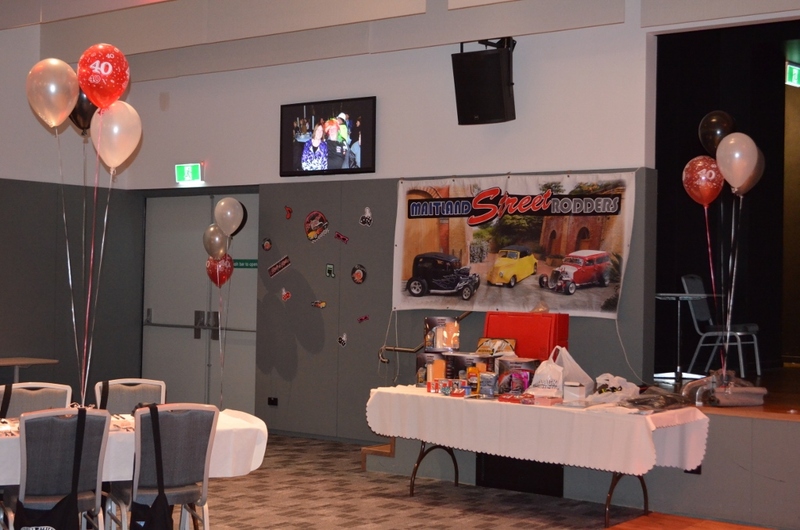 We thank the following sponsors of the Evening who helped make the event a great success. 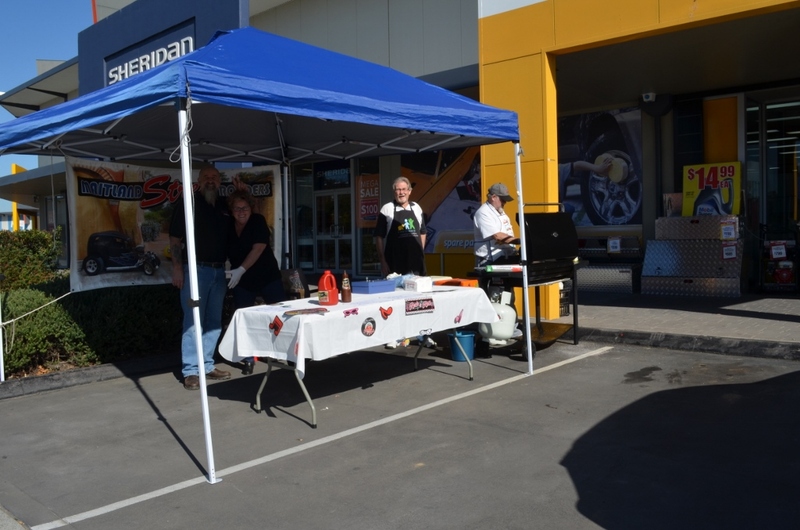 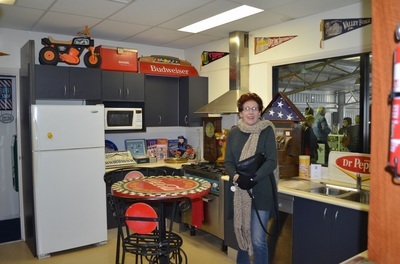 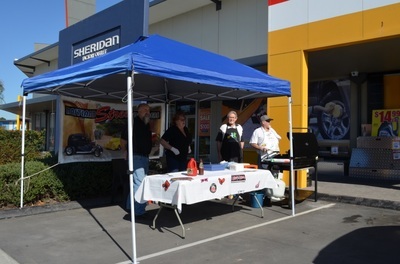 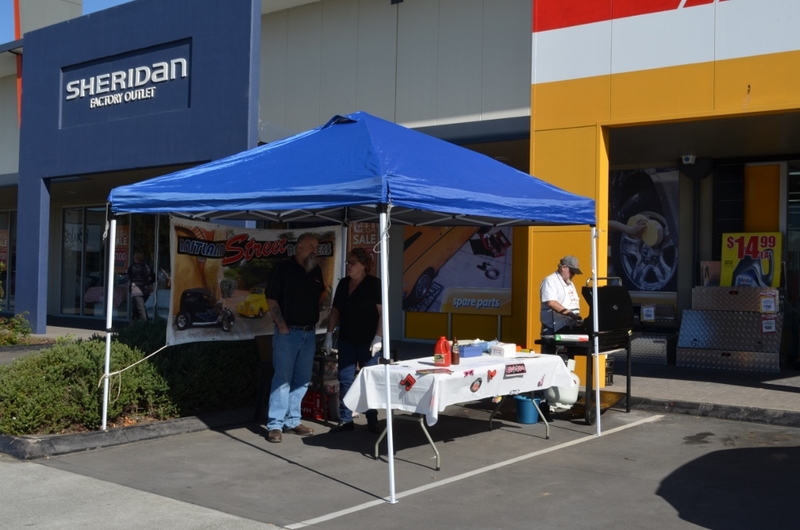 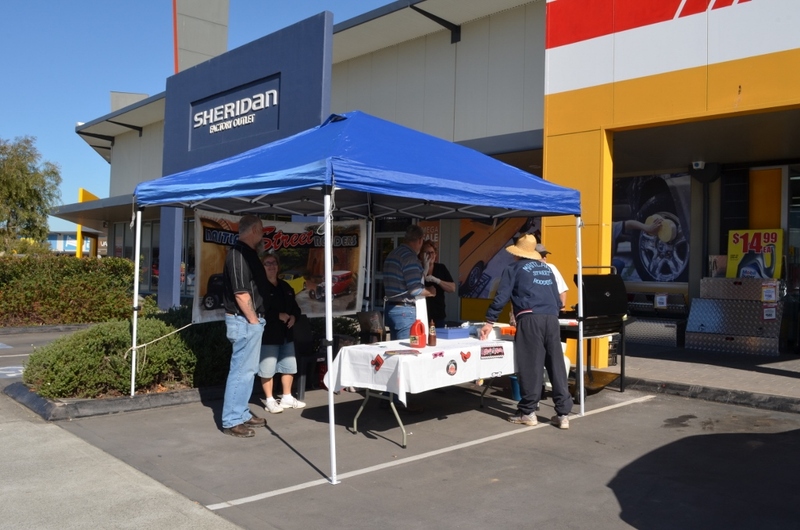 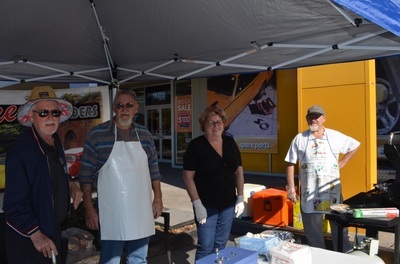 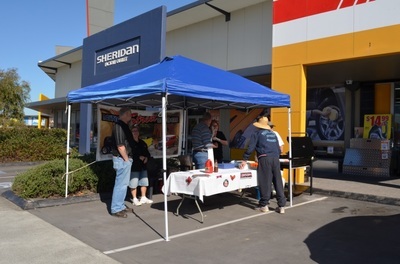 We were asked by Repco Rutherford to do a BBQ for their clients and six of our members plus Ann attended to run the BBQ. 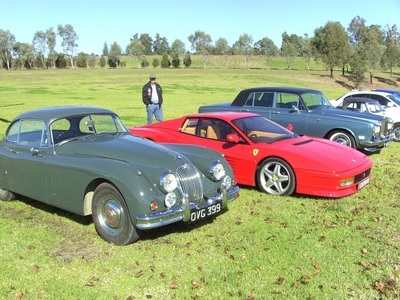 It was a wonderful sunny winters day and the four hours we were there went very quickly. 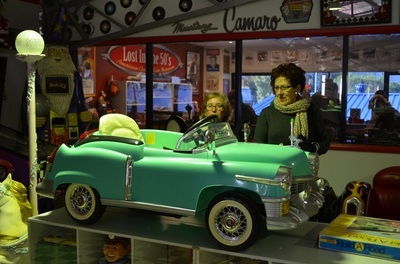 The ladies helped in the early stages but the shops and local cafe got the better of them and they weren't seen for a long time. 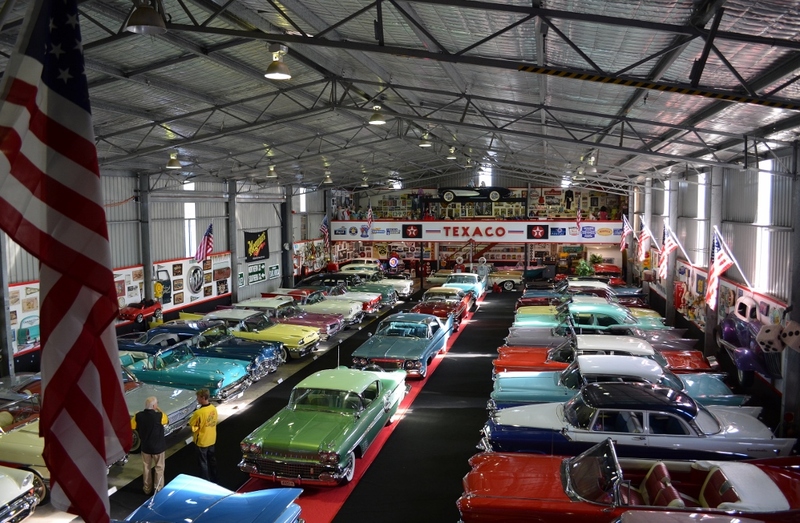 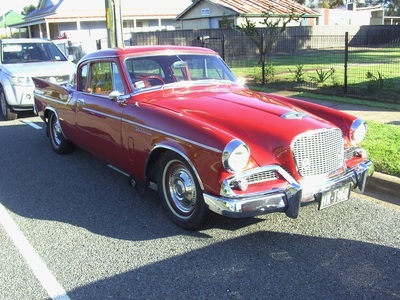 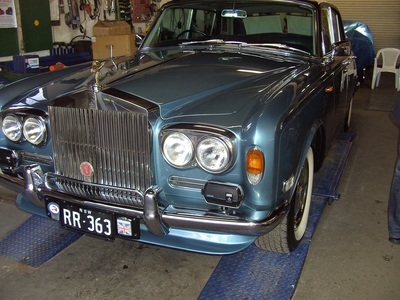 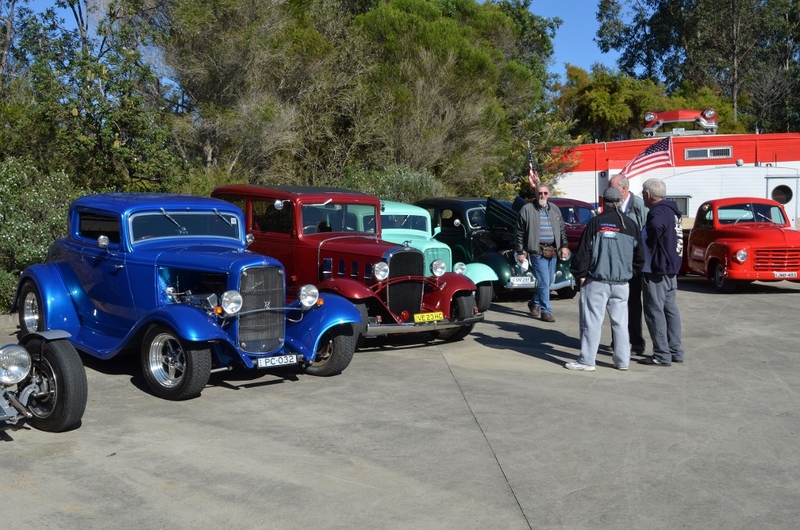 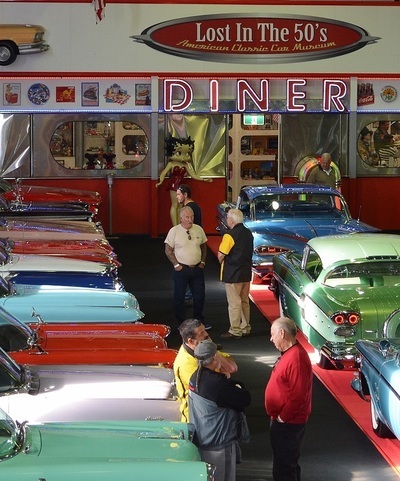 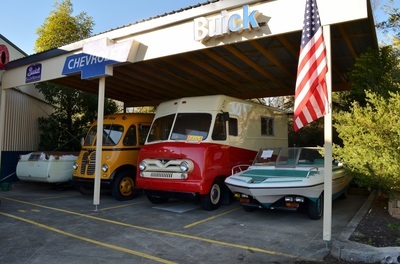 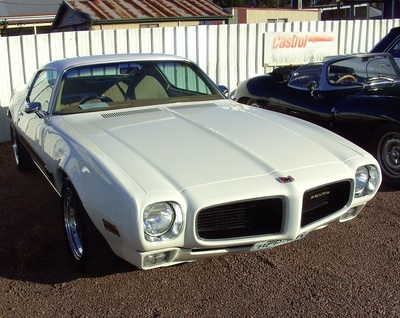 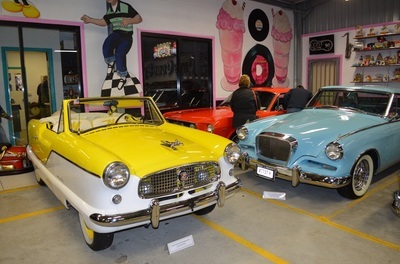 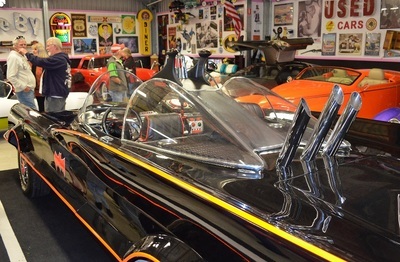 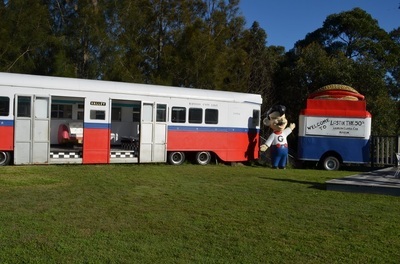 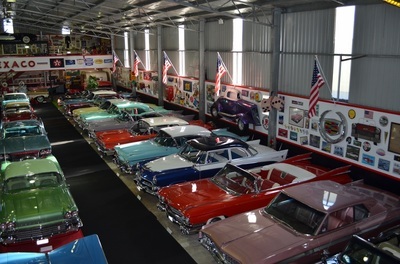 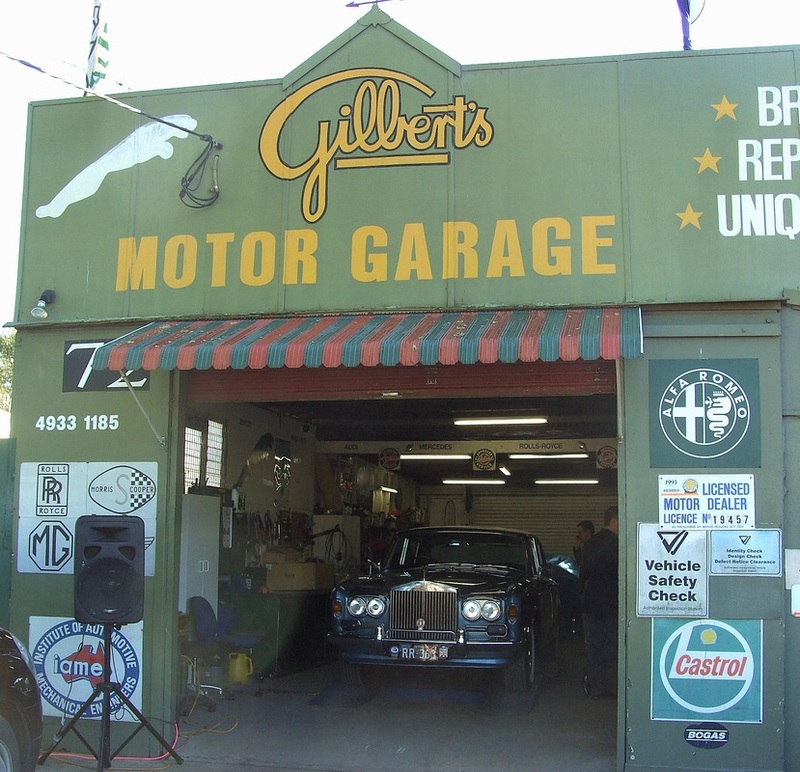 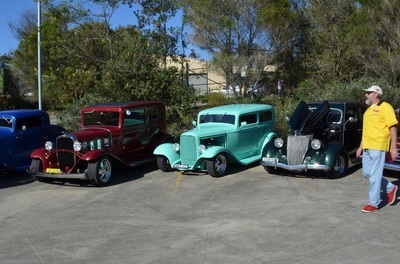 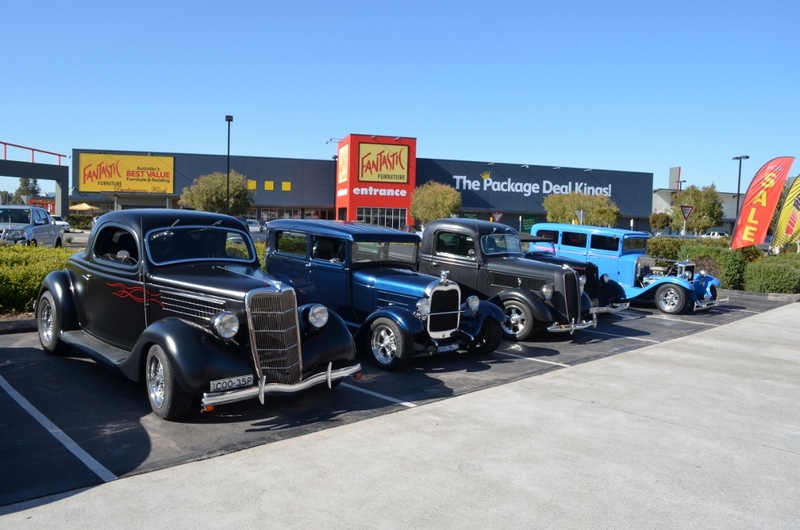 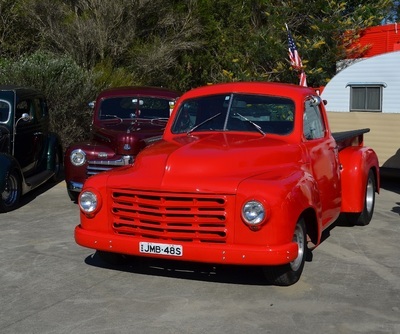 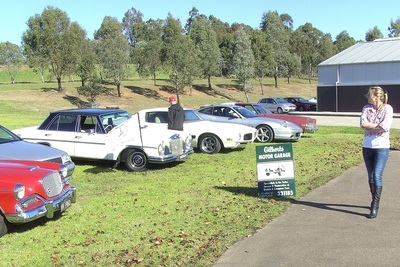 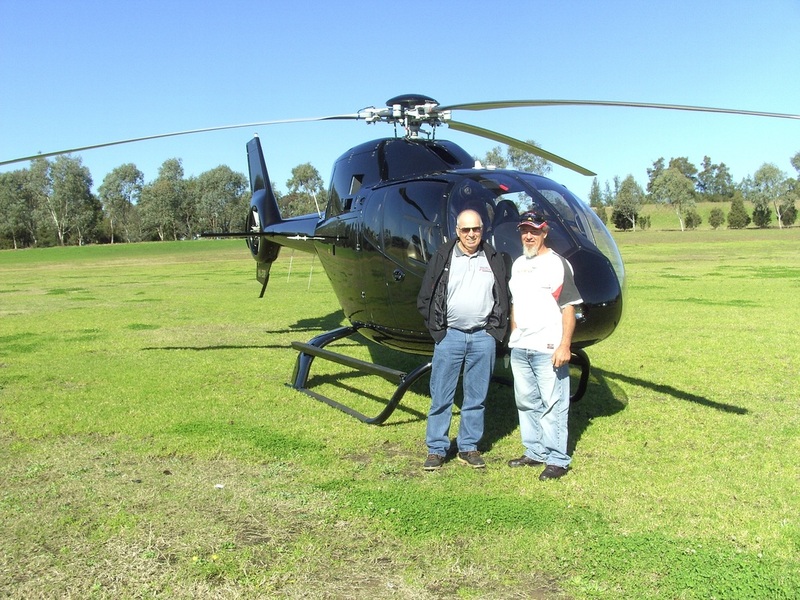 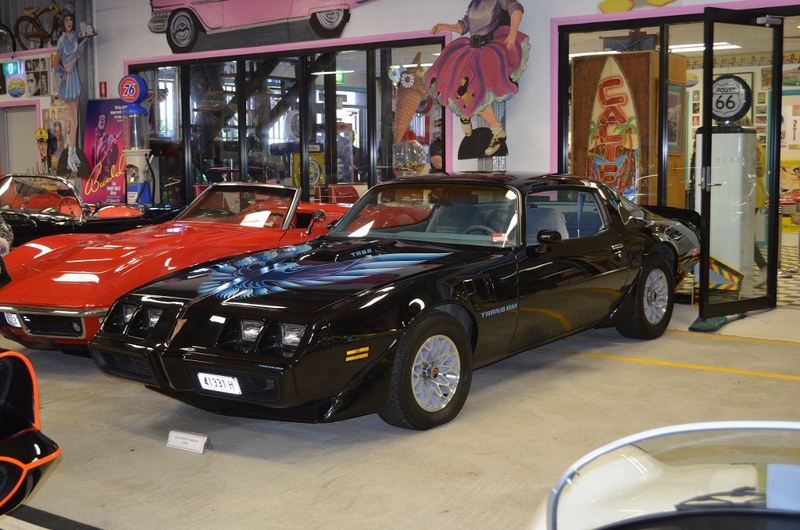 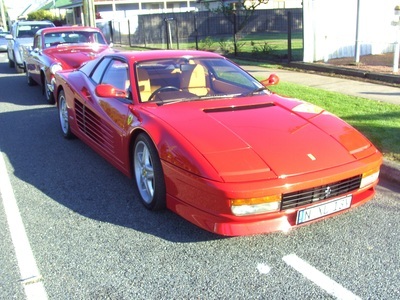 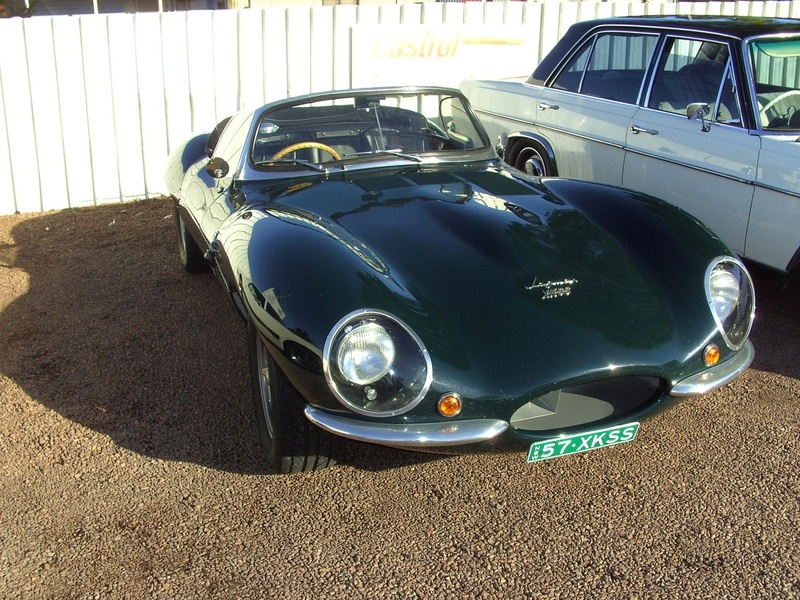 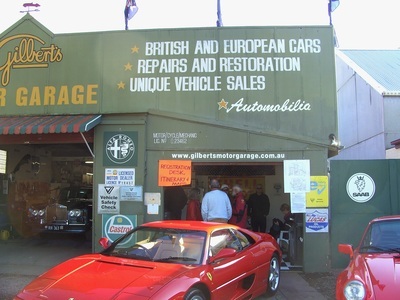 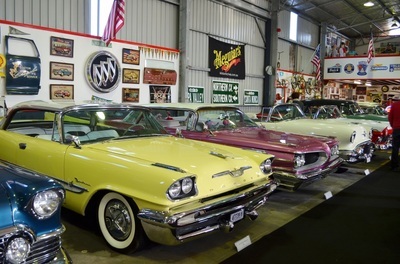 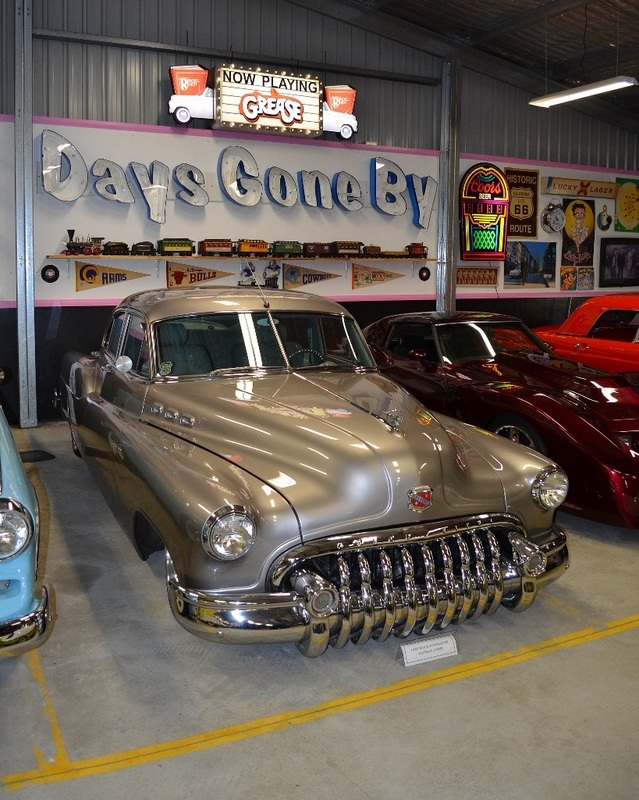 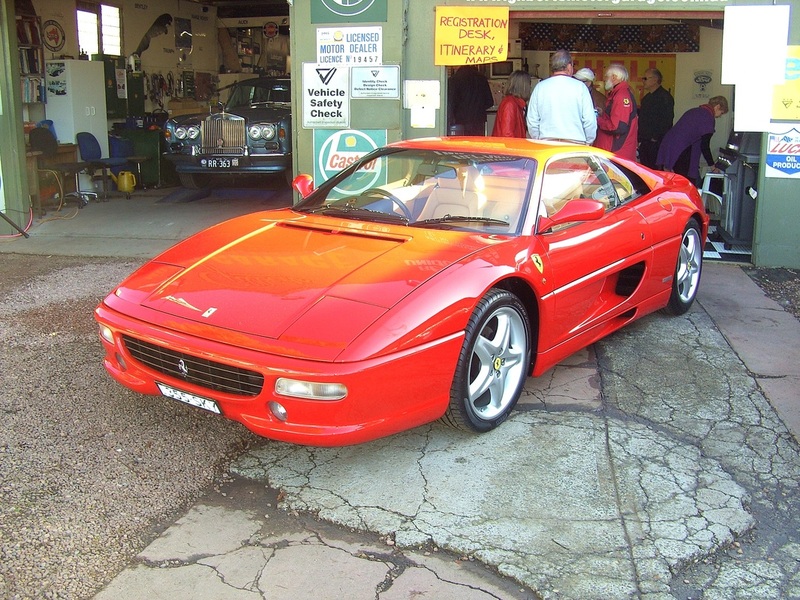 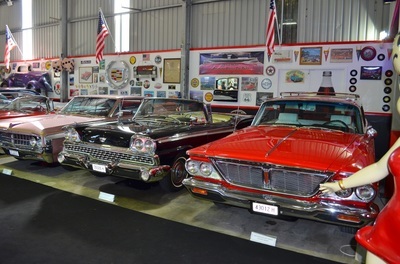 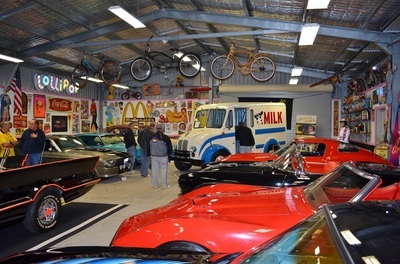 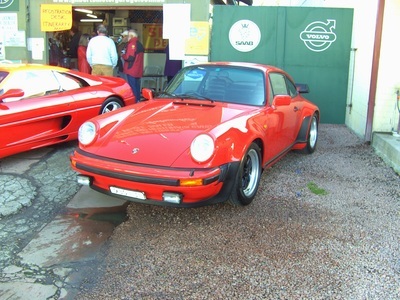 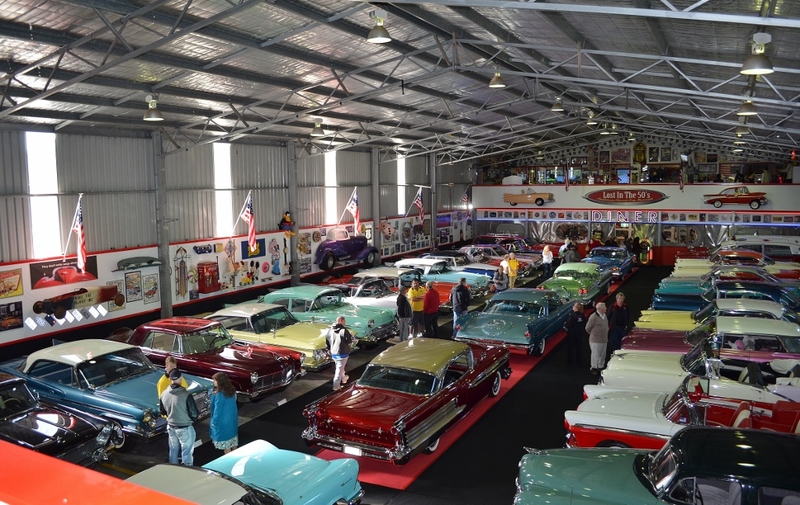 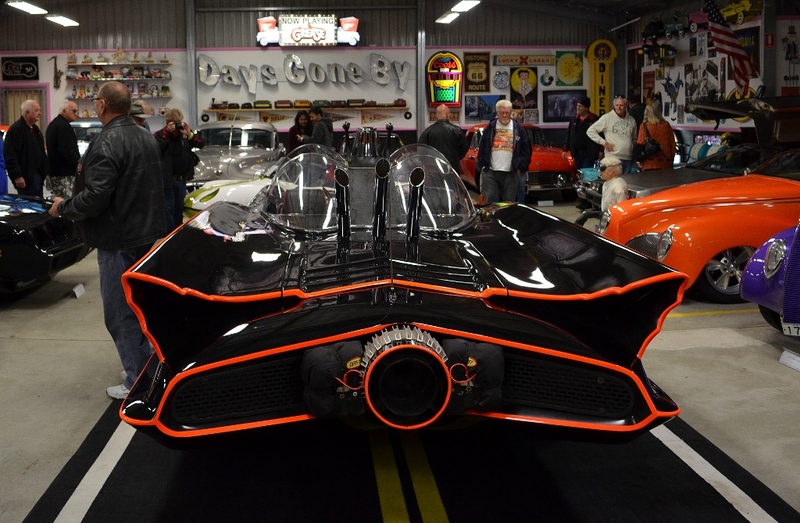 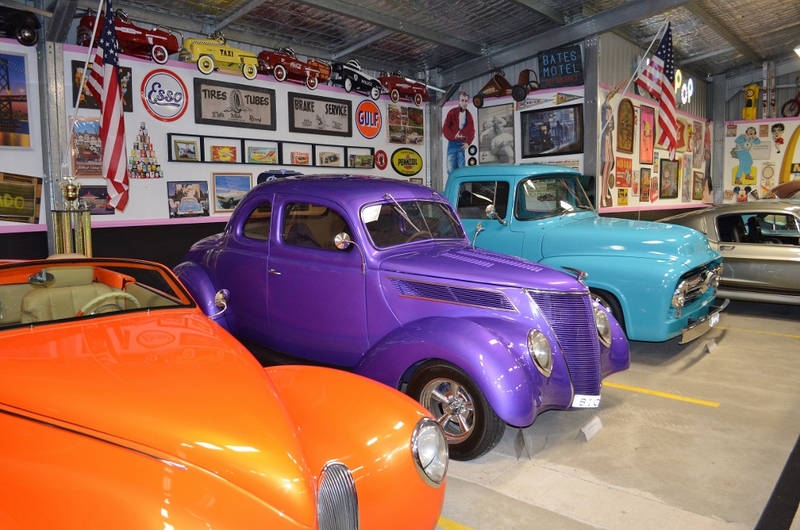 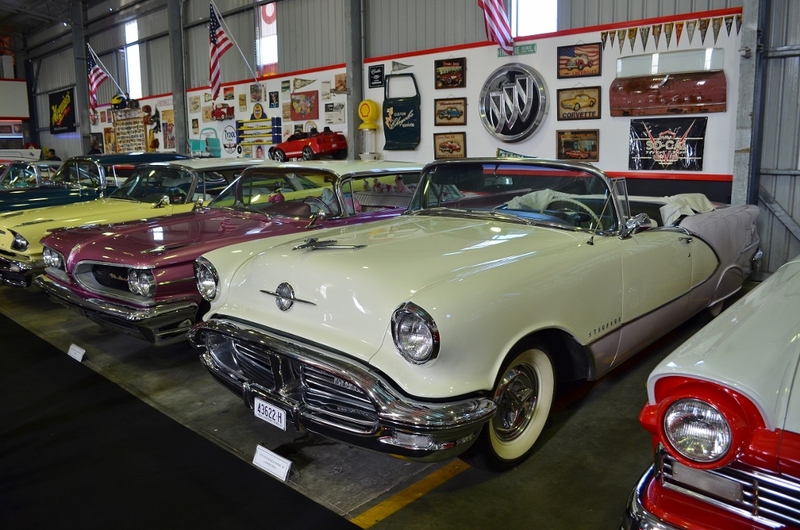 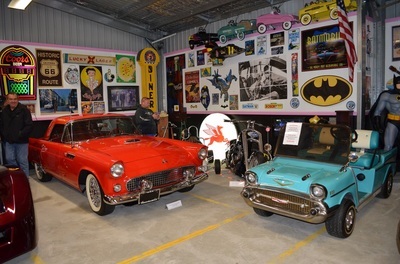 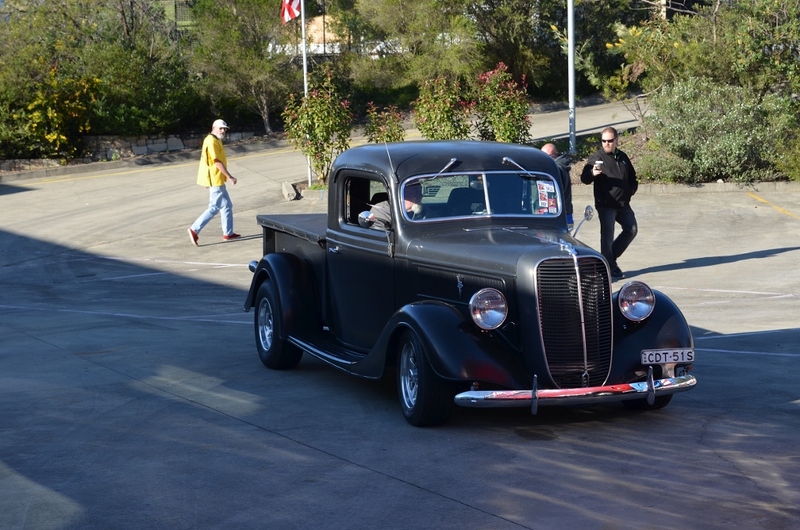 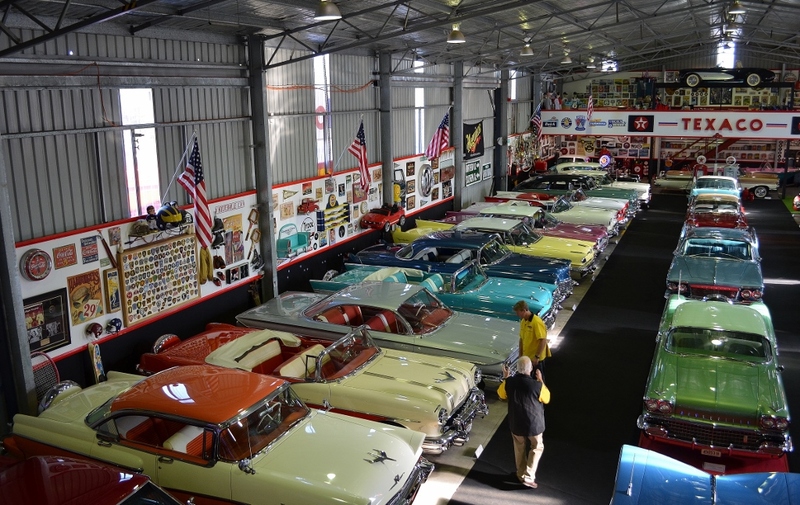 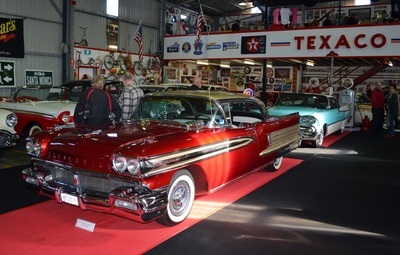 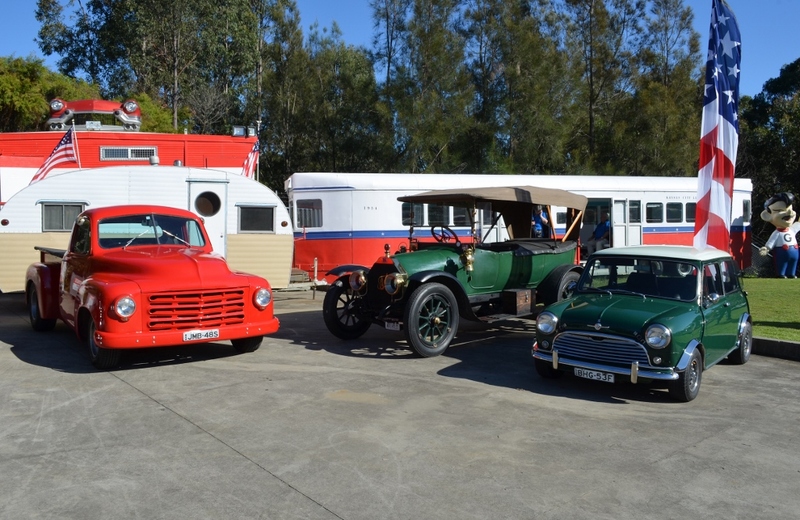 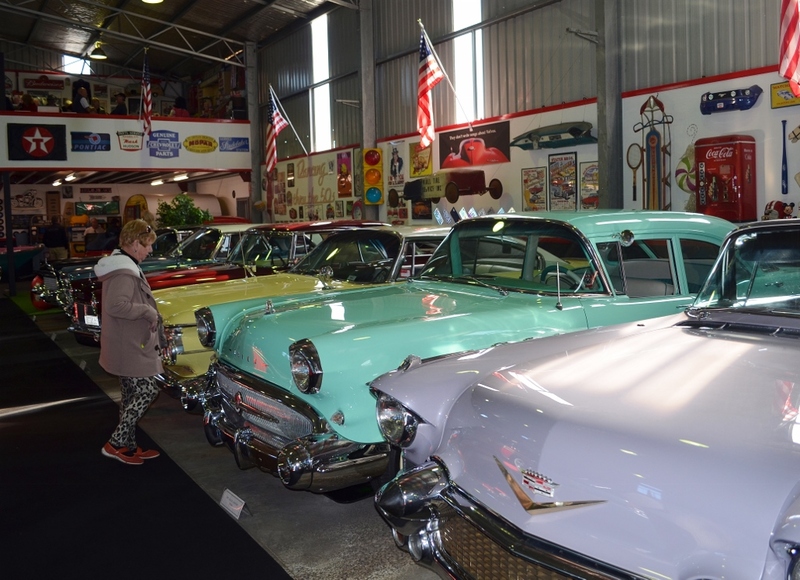 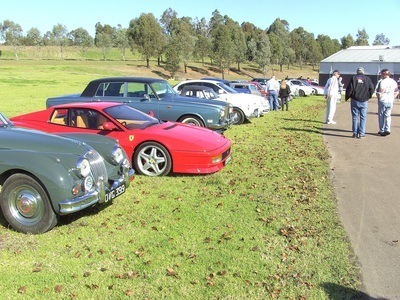 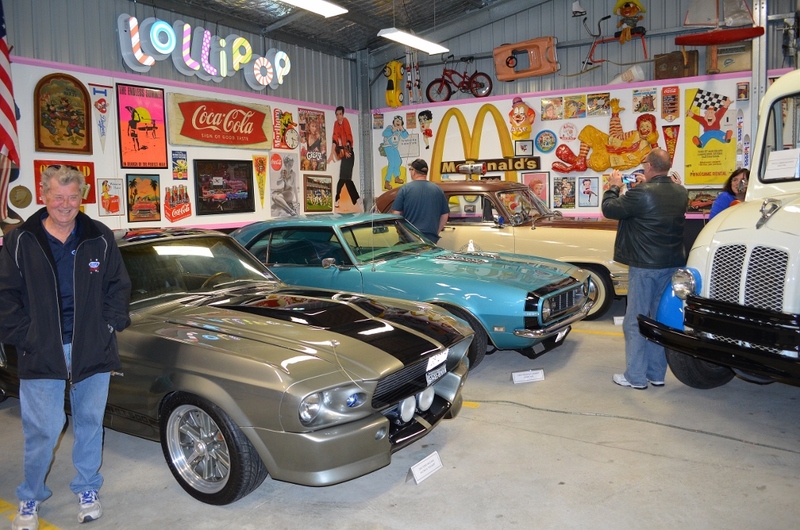 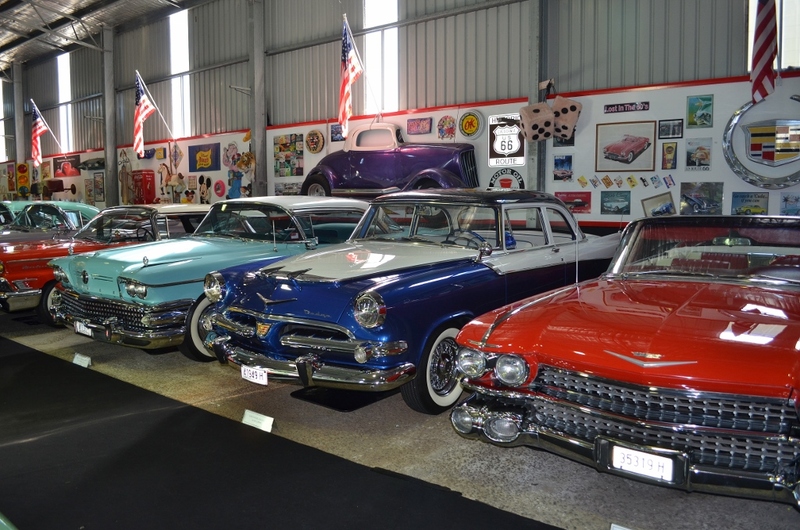 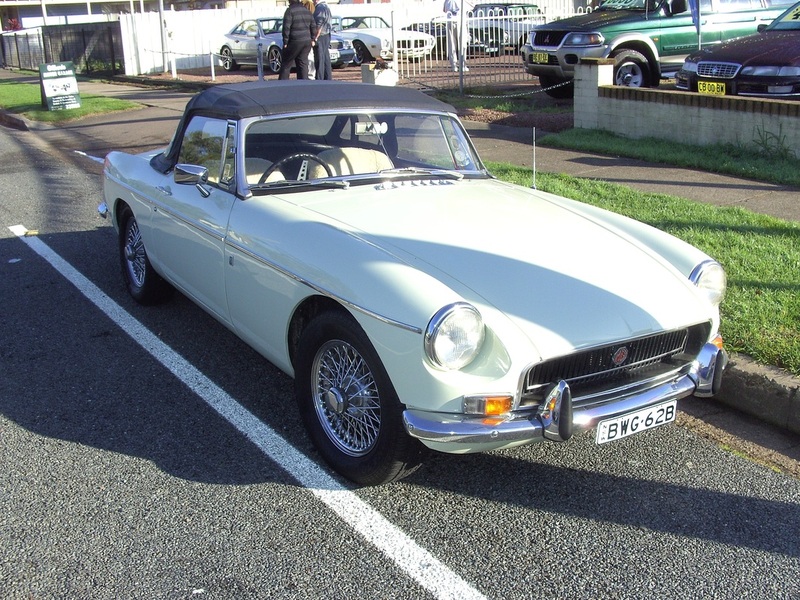 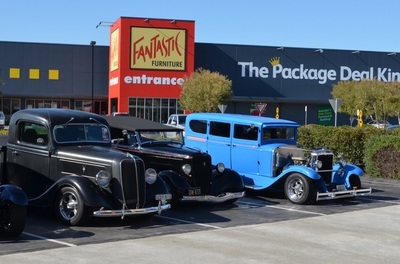 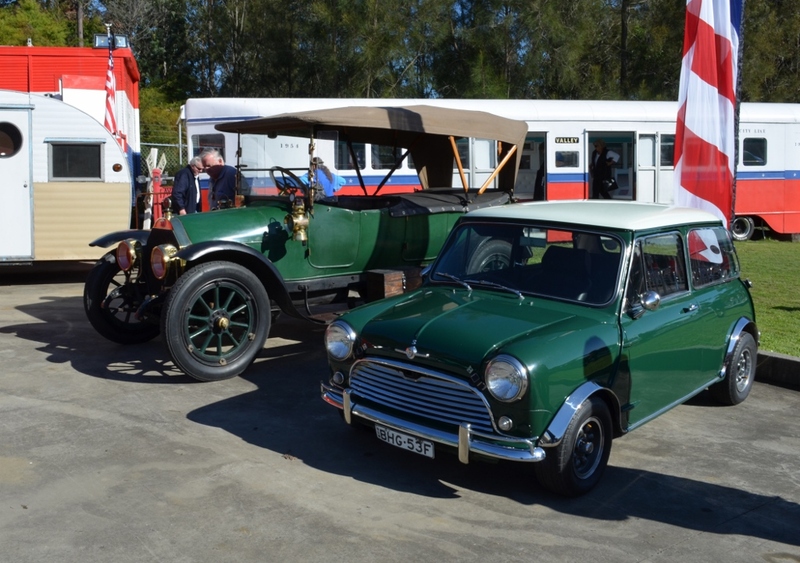 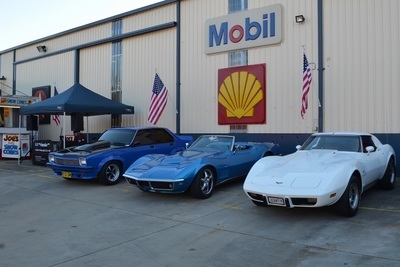 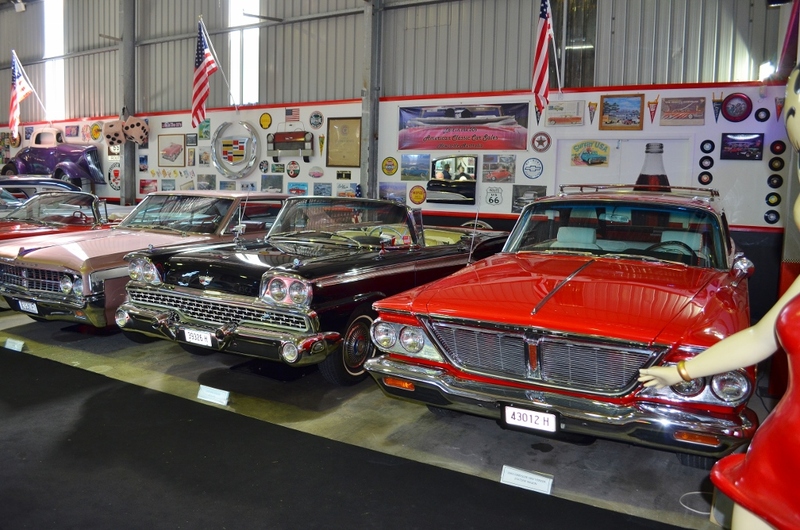 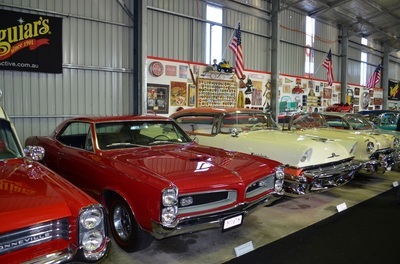 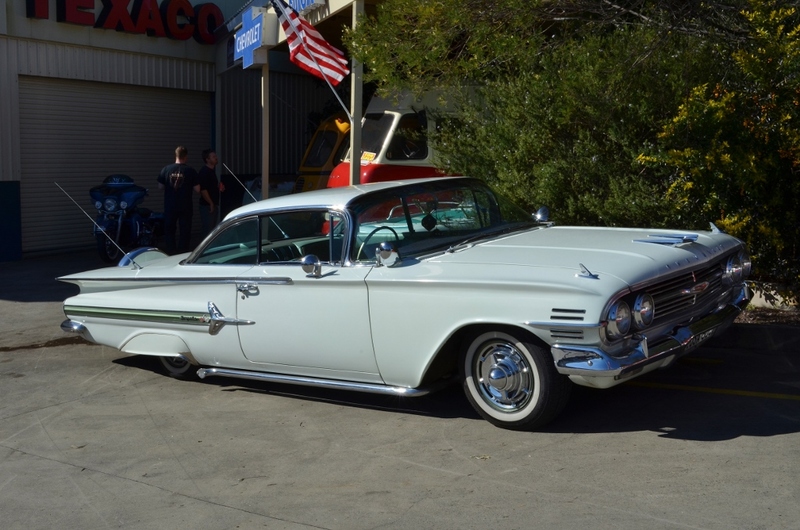 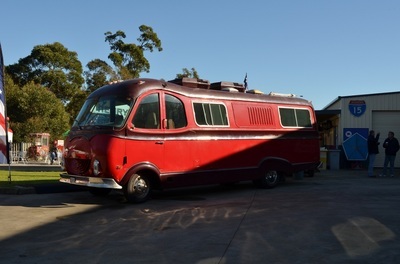 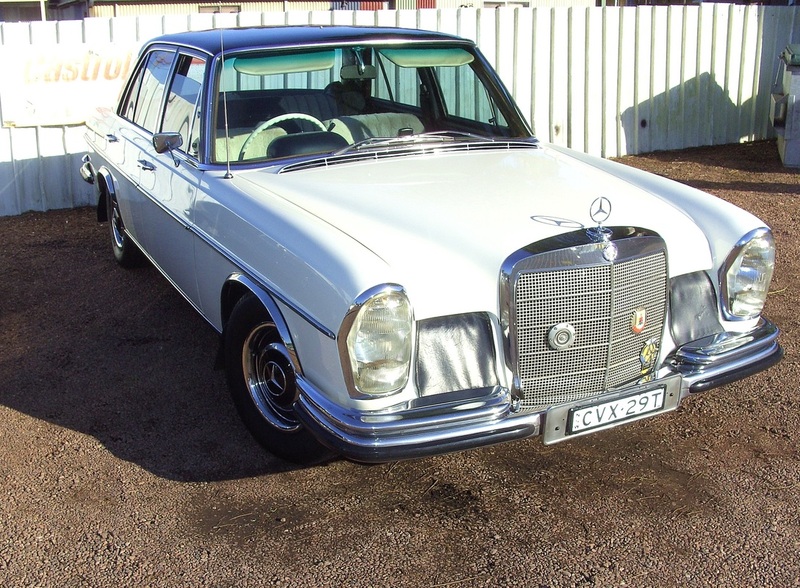 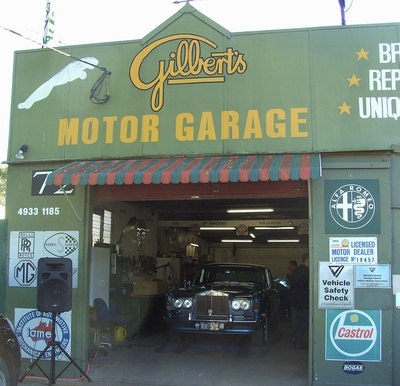 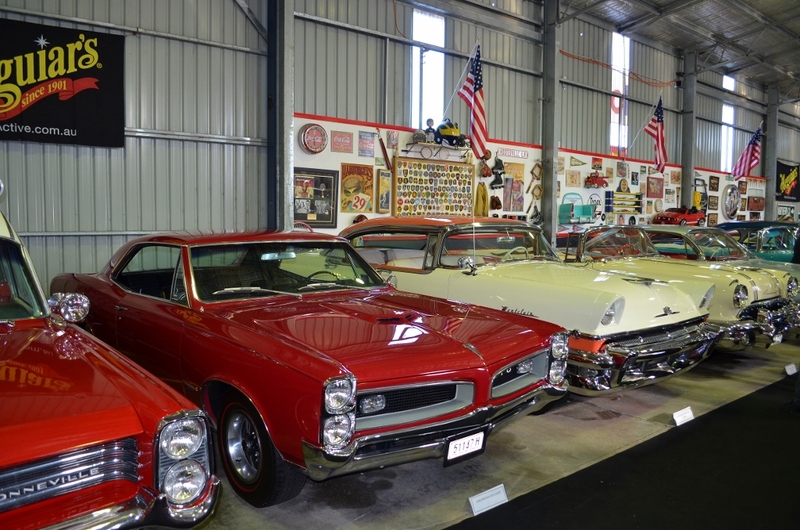 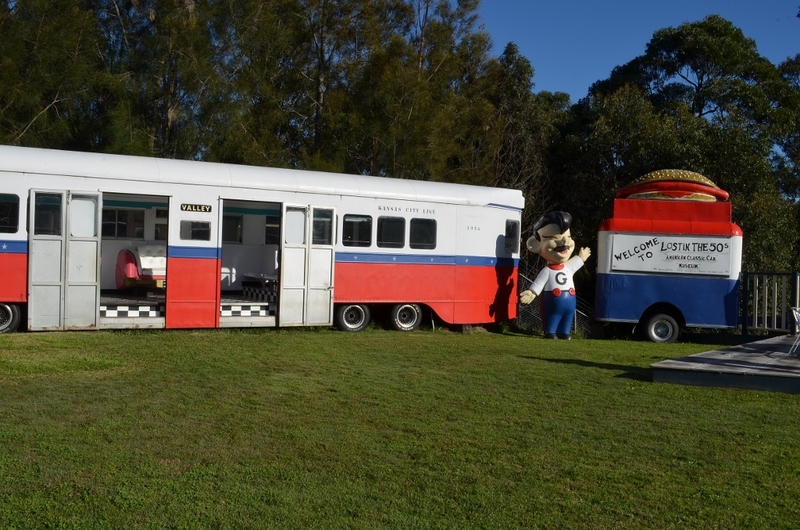 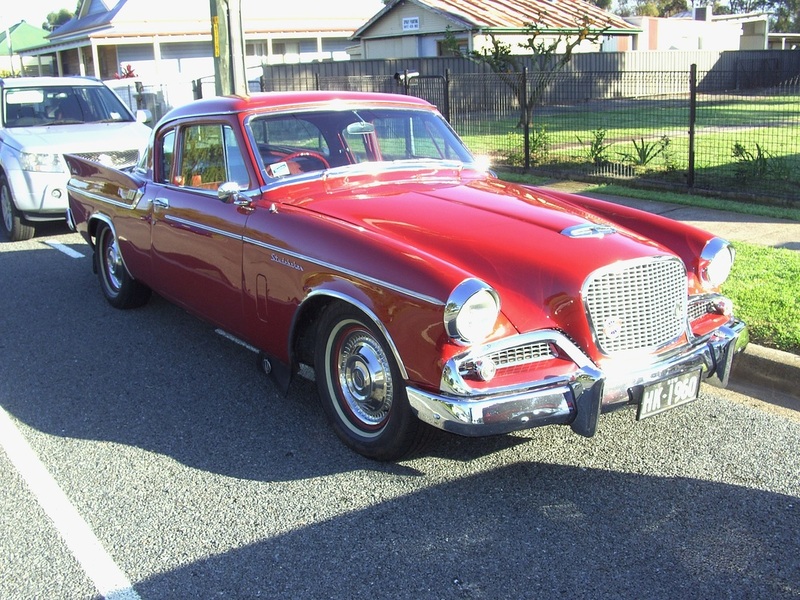 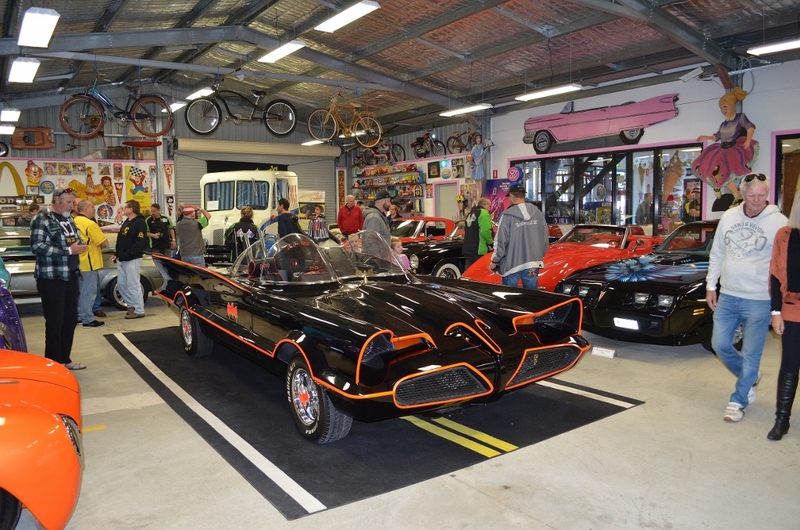 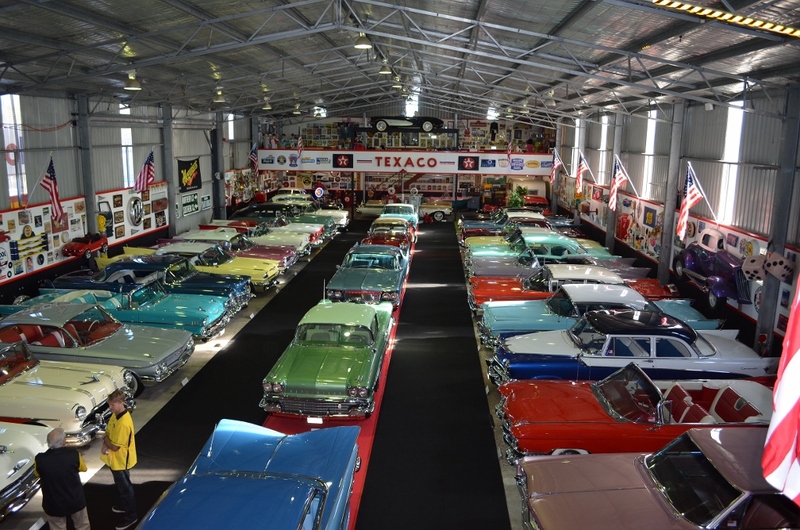 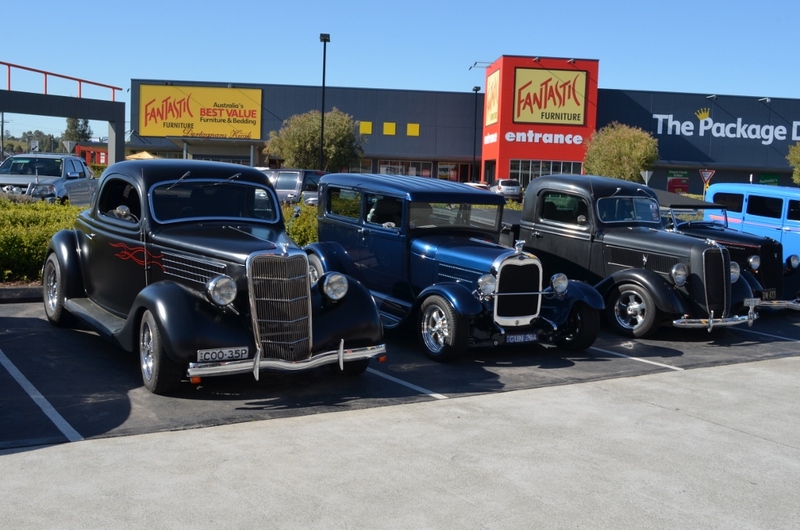 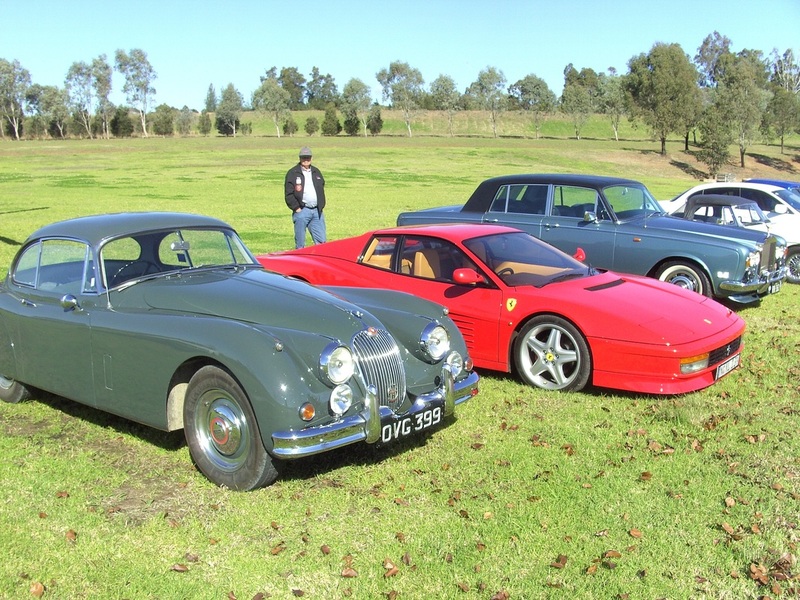 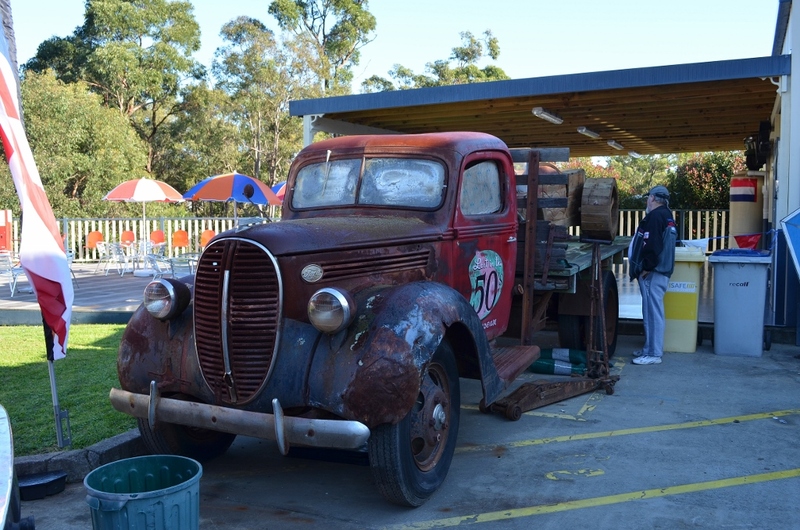 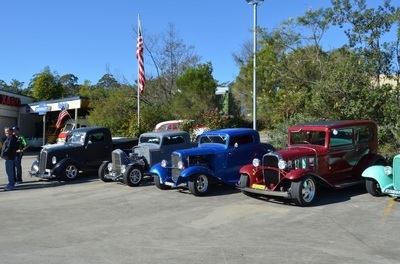 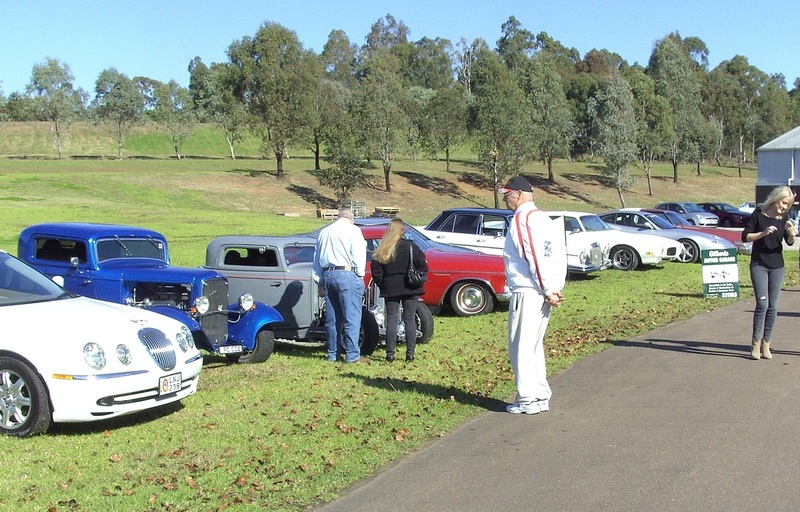 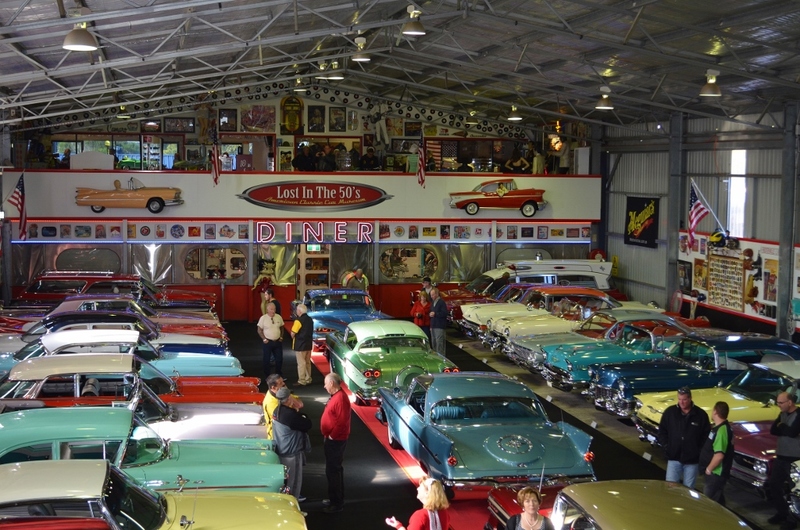 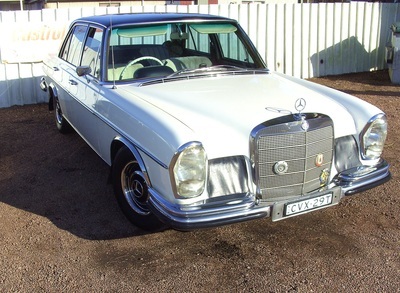 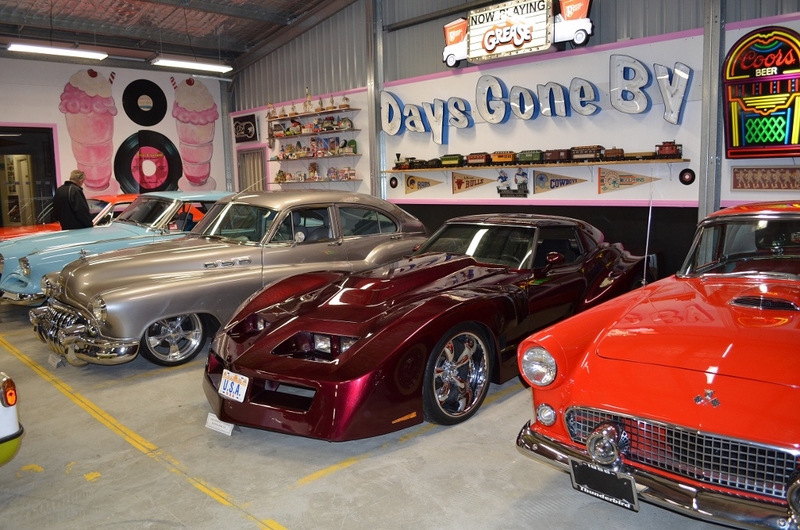 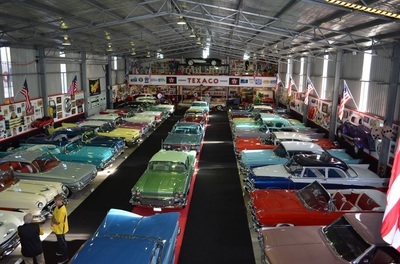 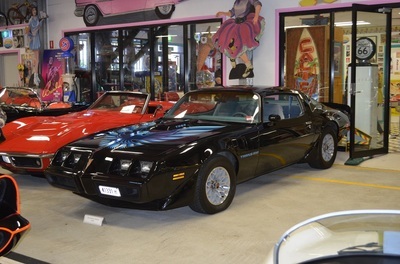 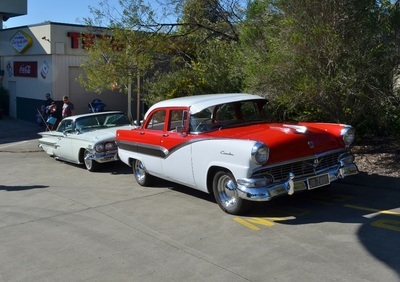 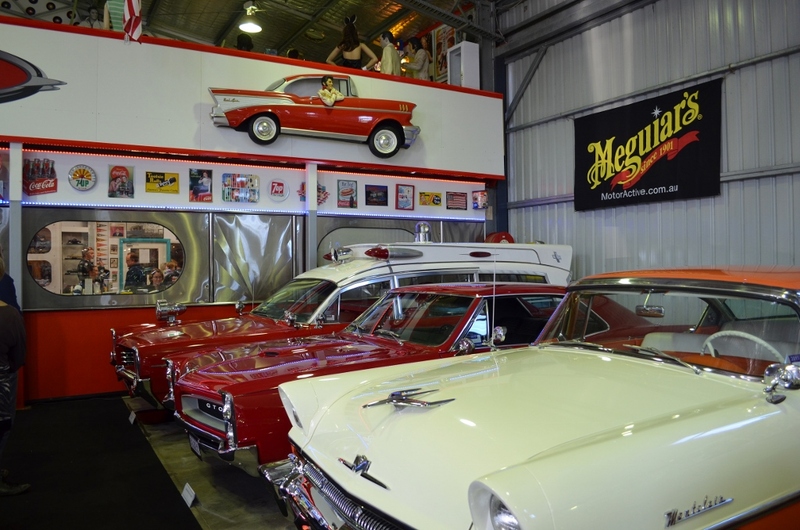 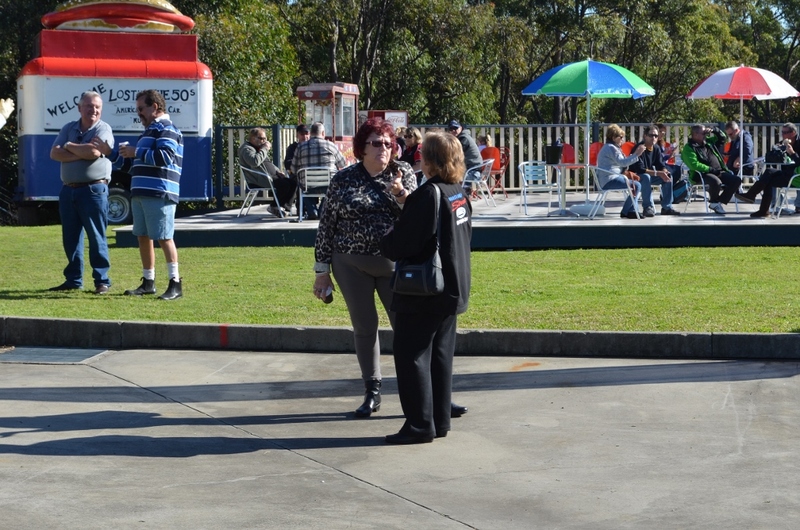 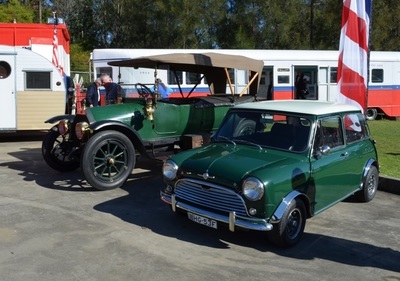 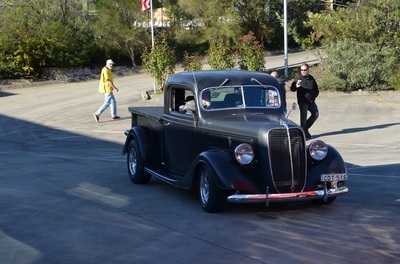 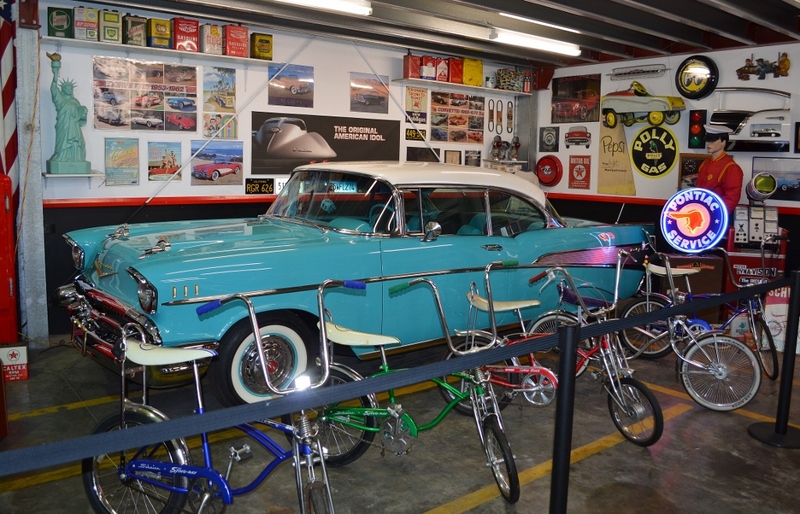 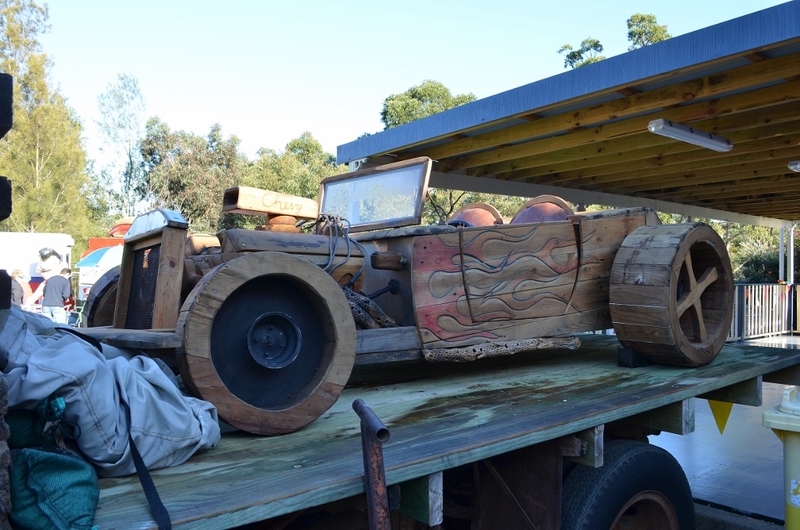 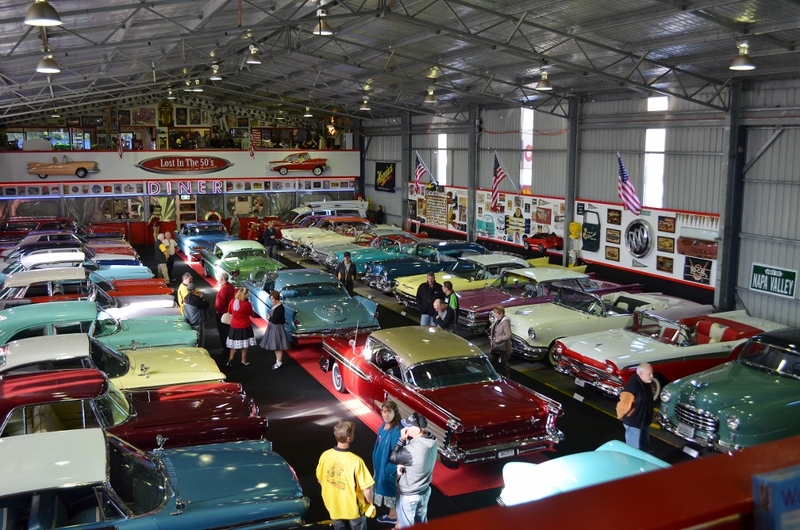 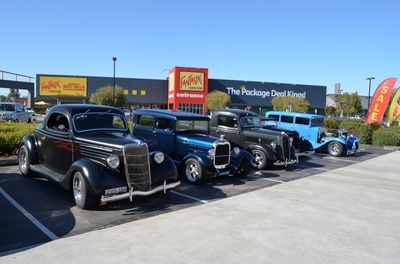 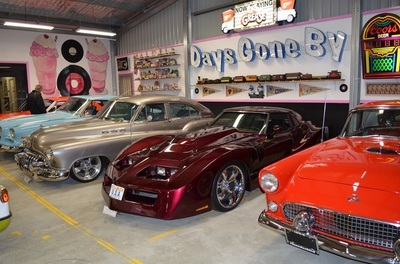 Three of our members went on the Gilbert's Garage Cruise to the Hunter Valley Vineyards. It was a beautiful winters day and they all had a terrific lunch sitting on the deck of one of the Valleys well known vineyards. 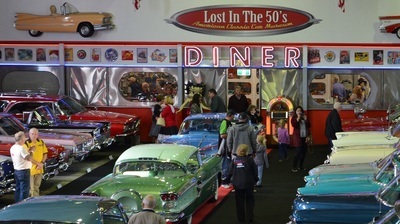 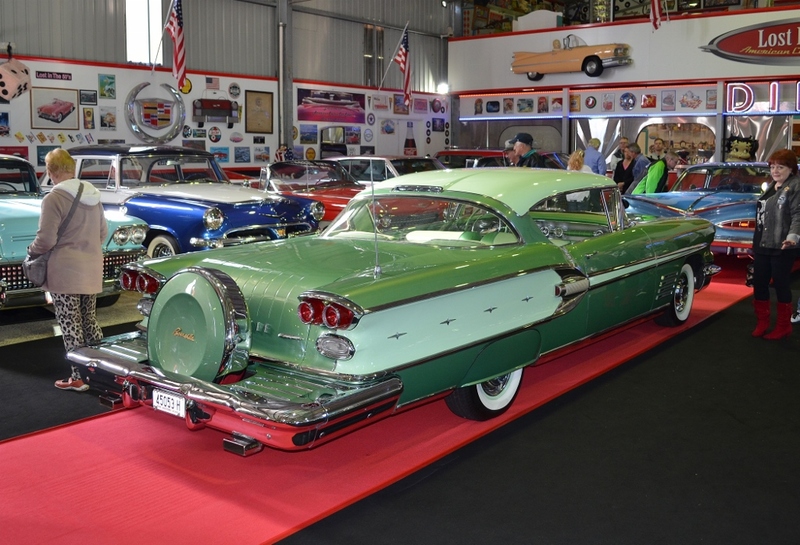 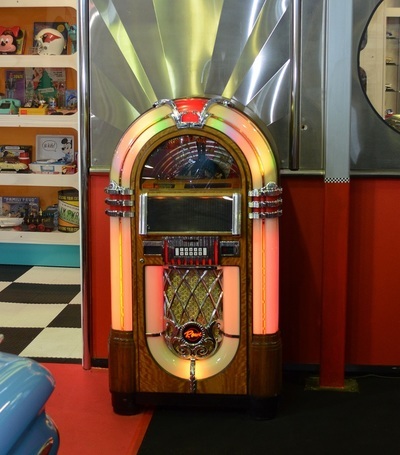 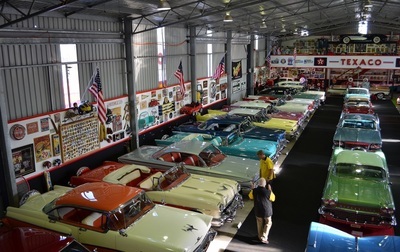 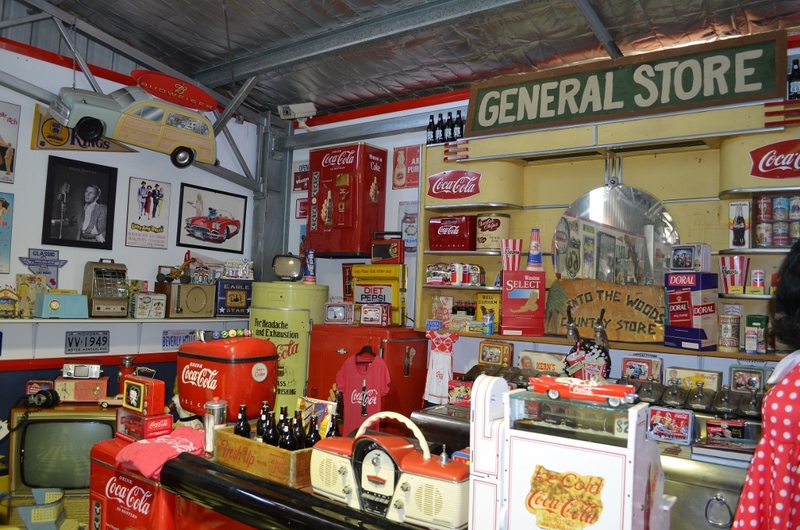 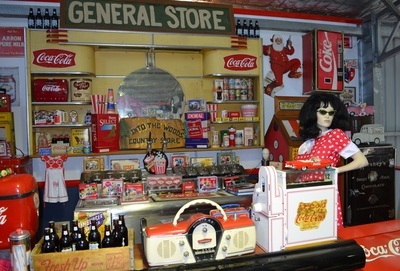 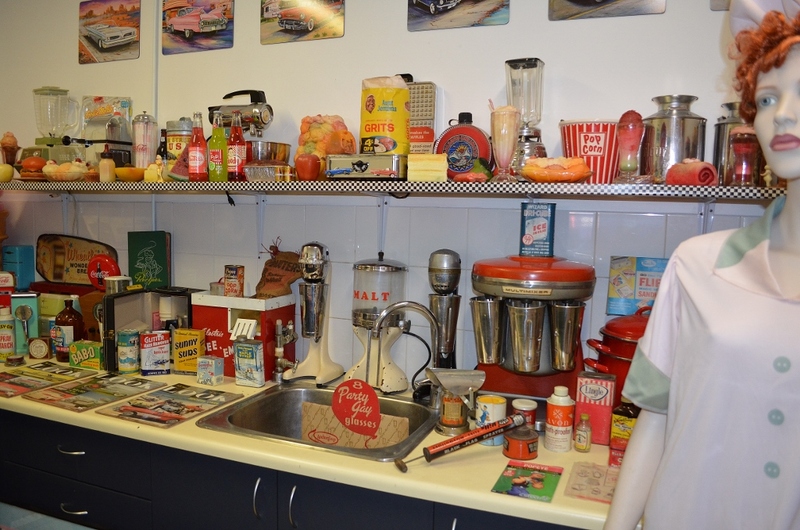 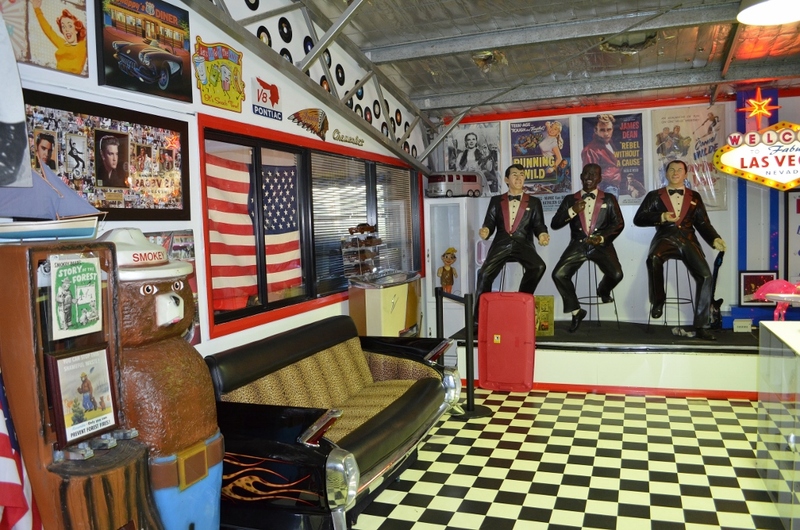 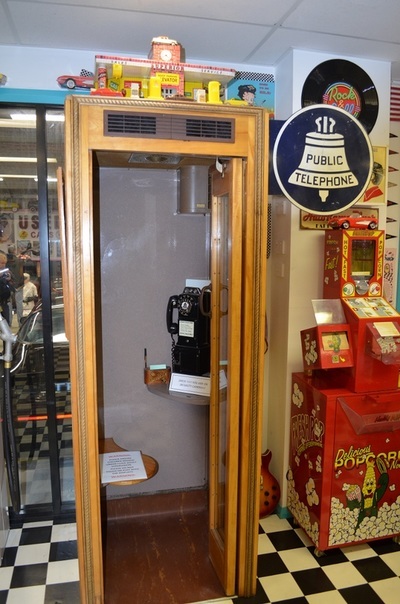 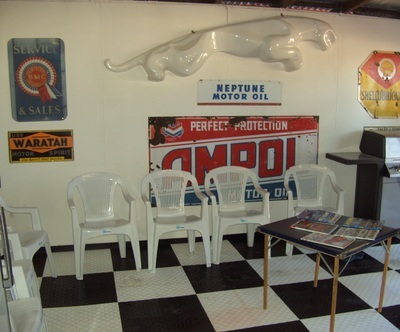 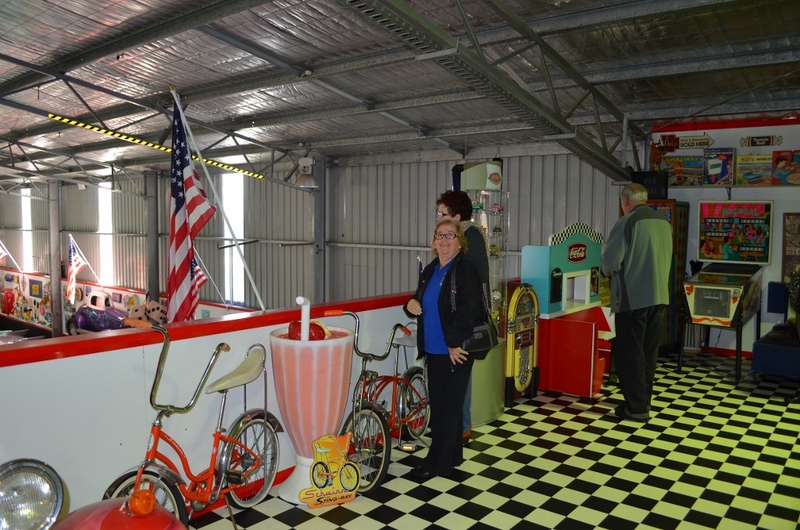 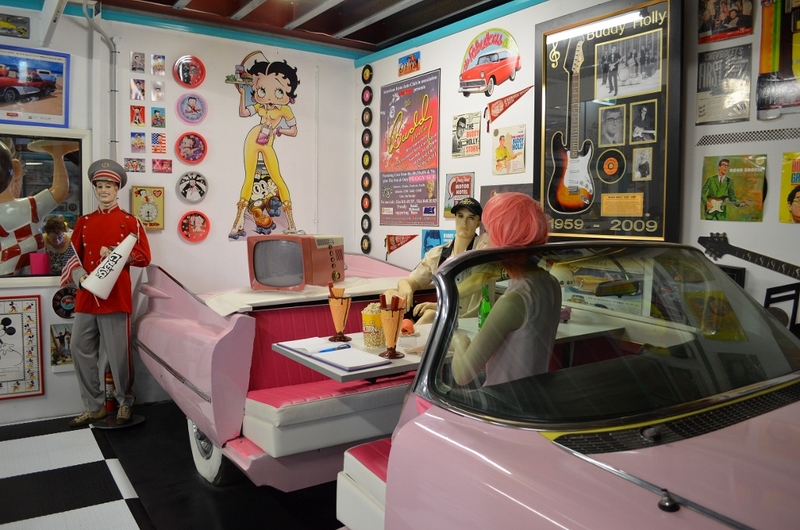 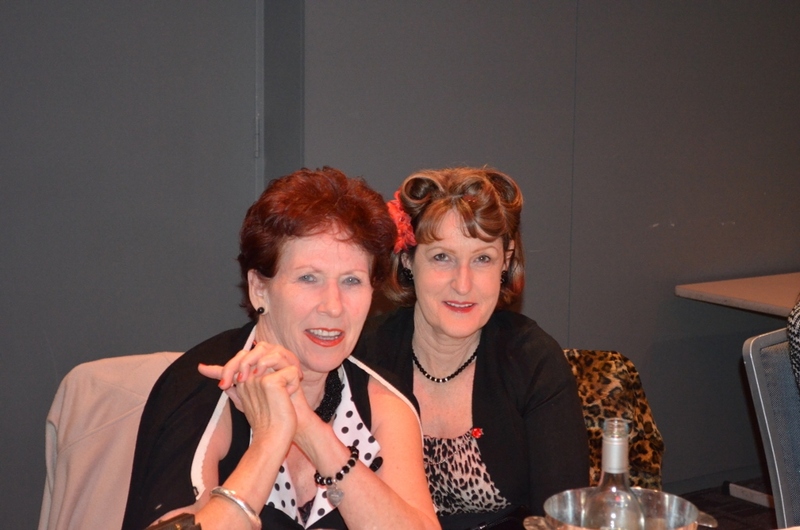 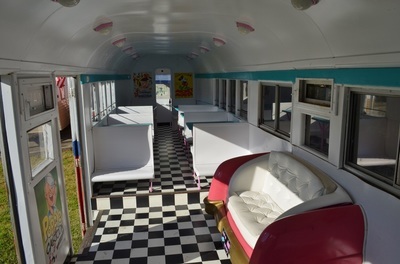 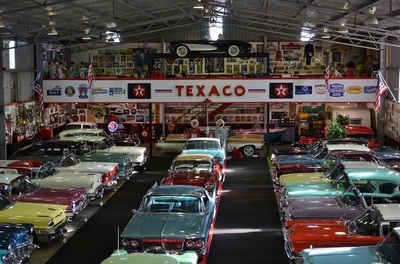 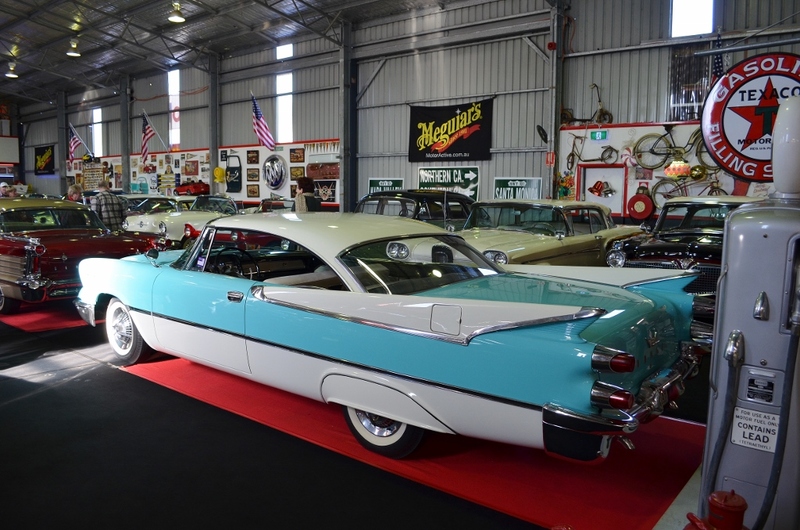 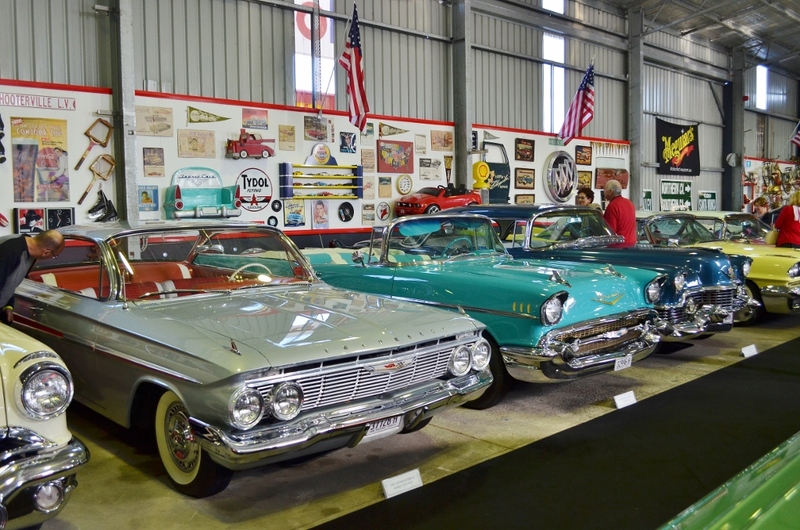 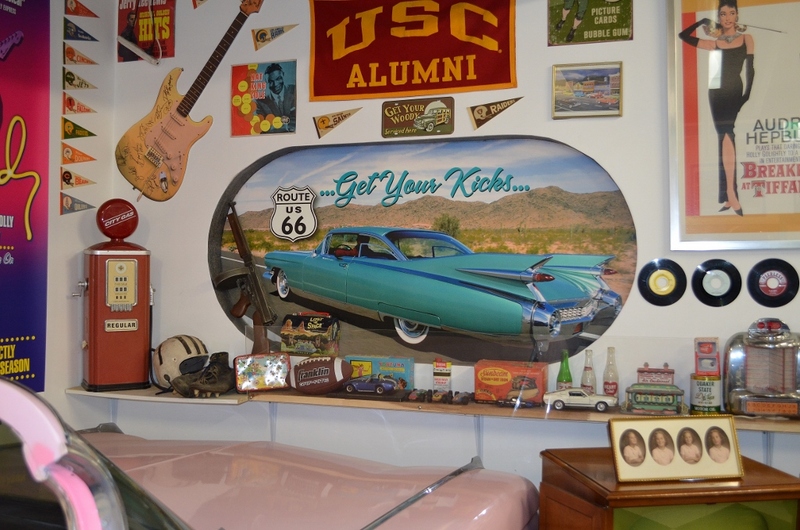 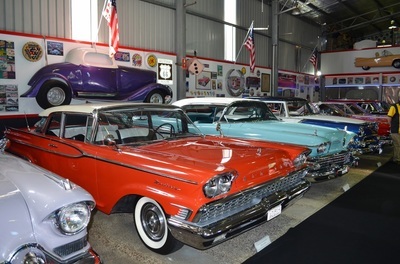 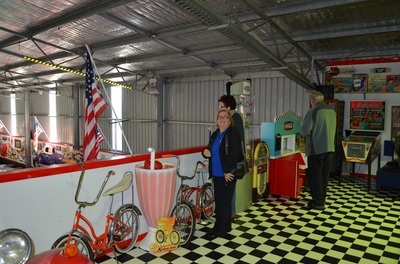 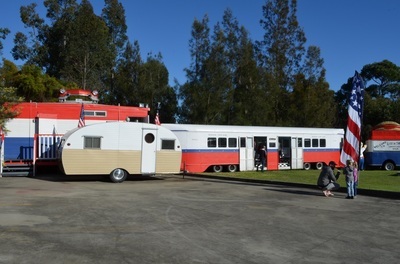 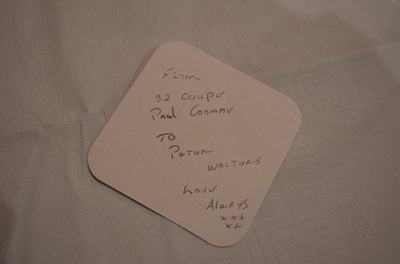 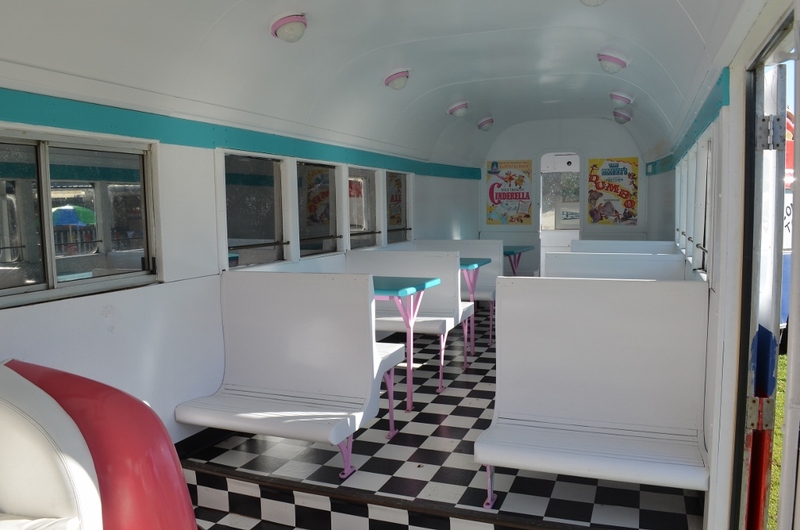 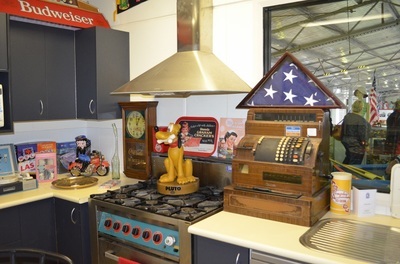 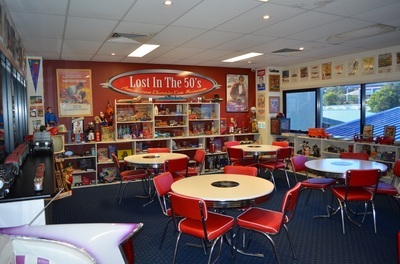 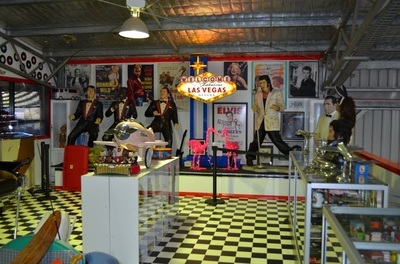 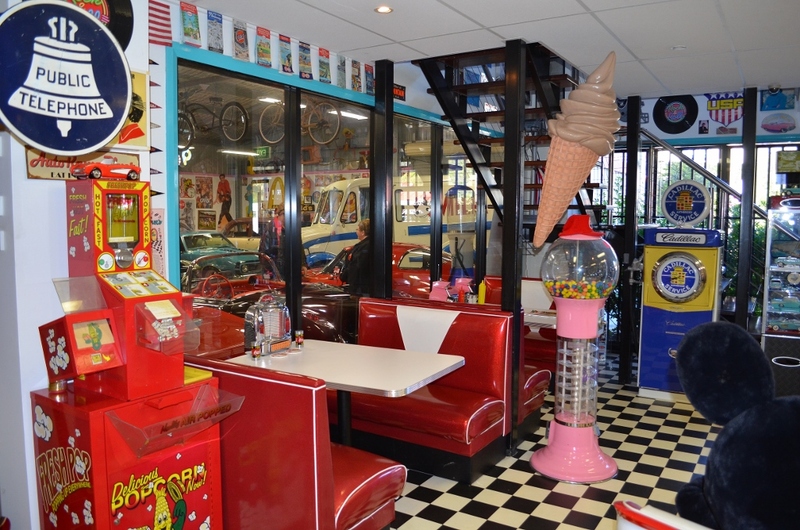 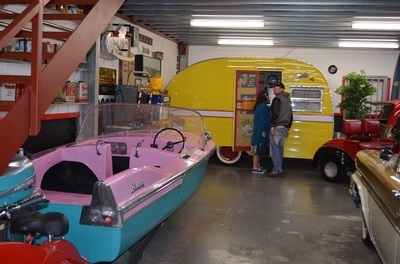 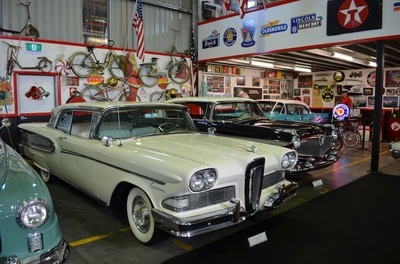 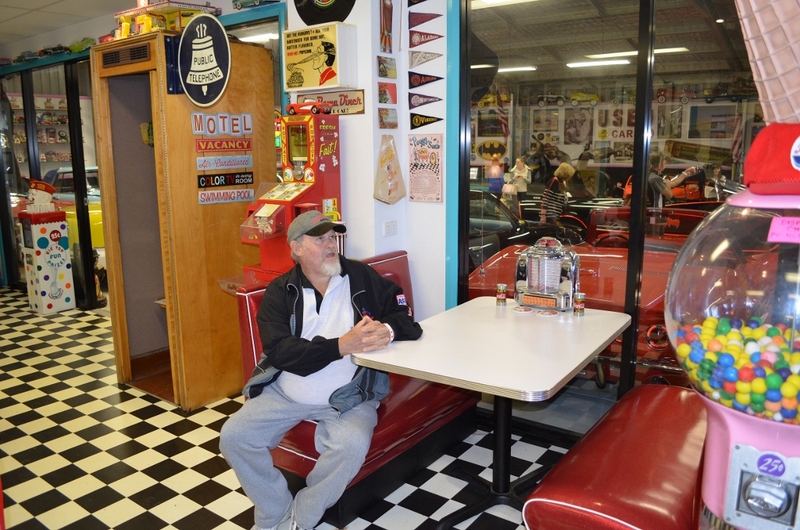 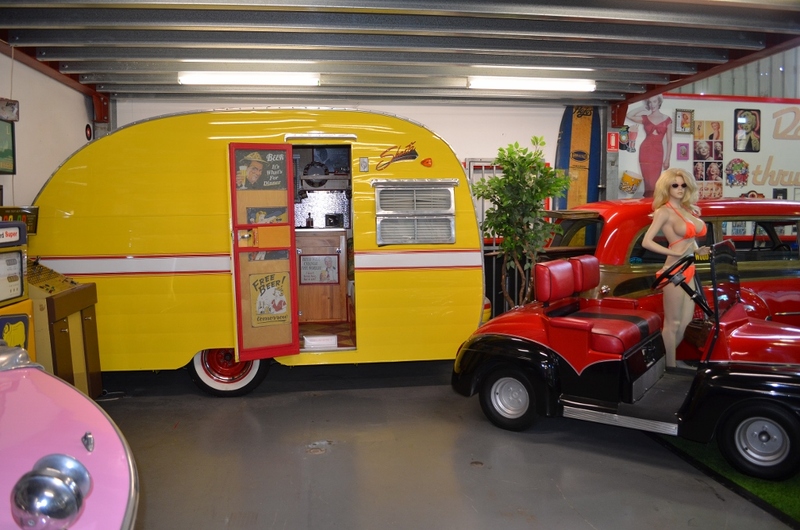 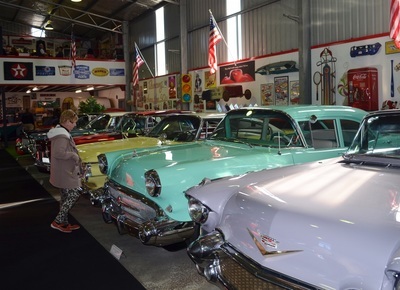 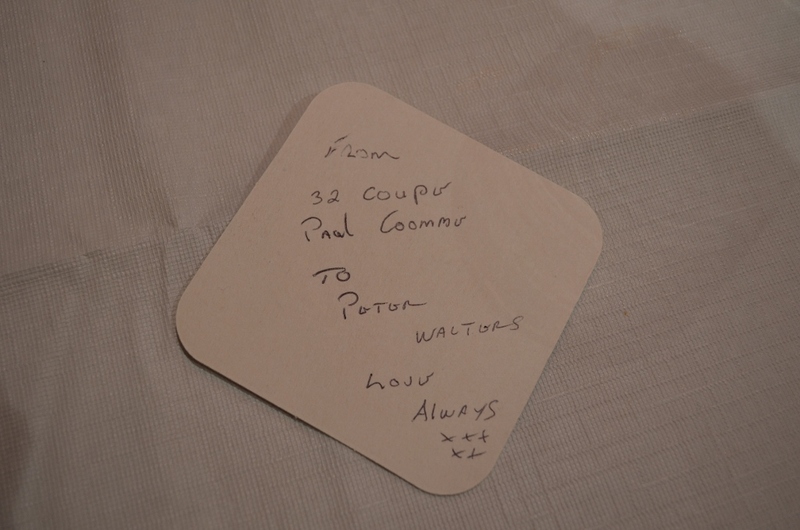 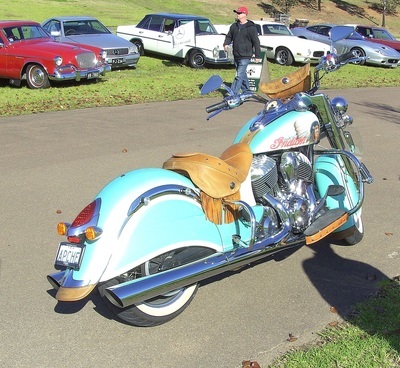 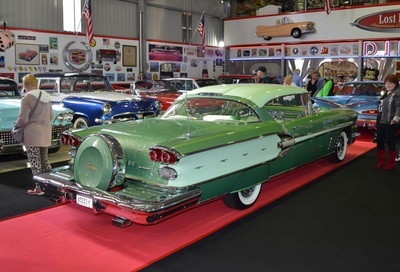 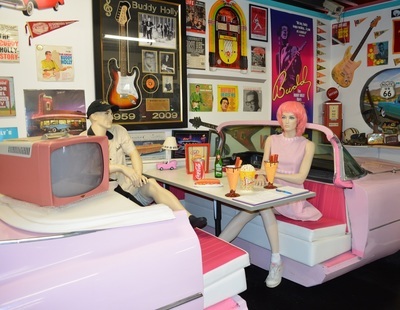 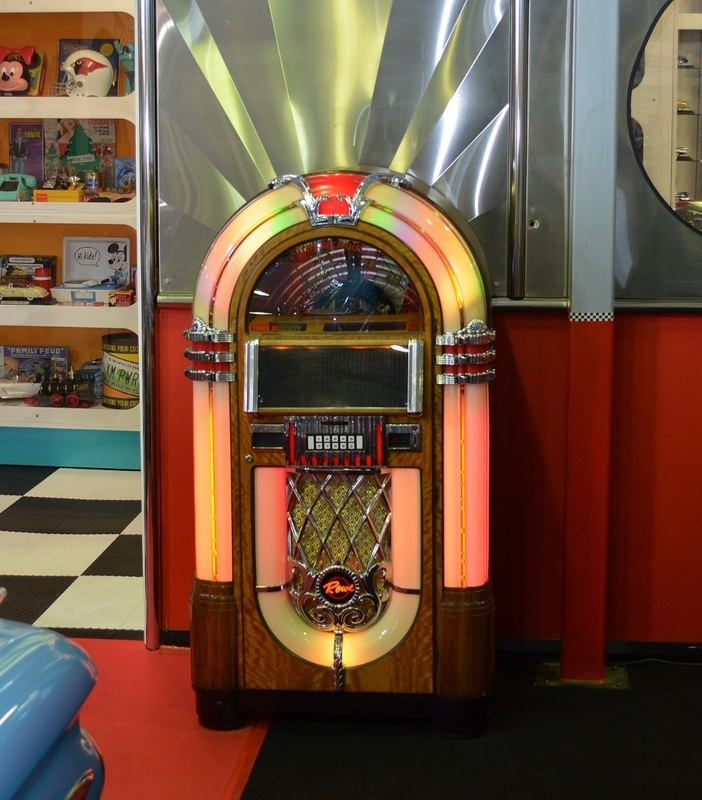 On a sunny warm winters day in late June 8 of our members, partners and friends went to Lost in the 50's. 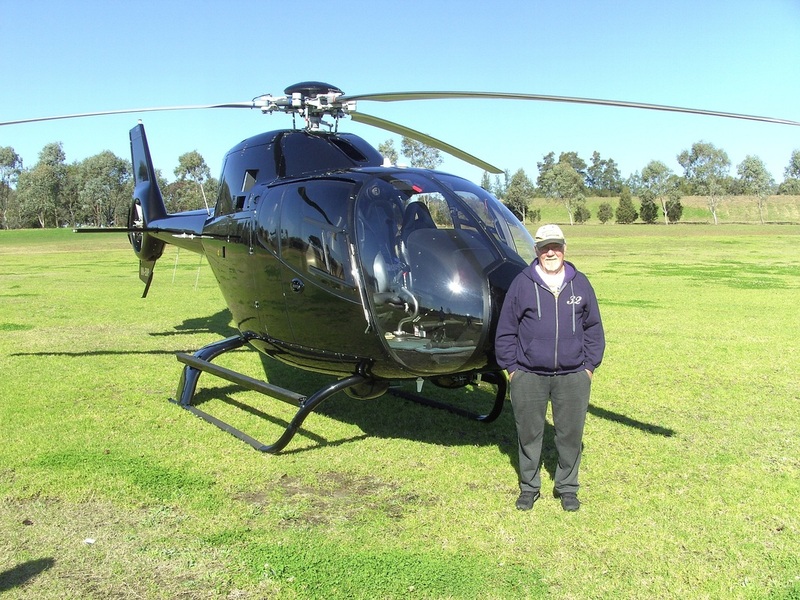 What a great experience for the first timers amongst us with plenty to see and admire. 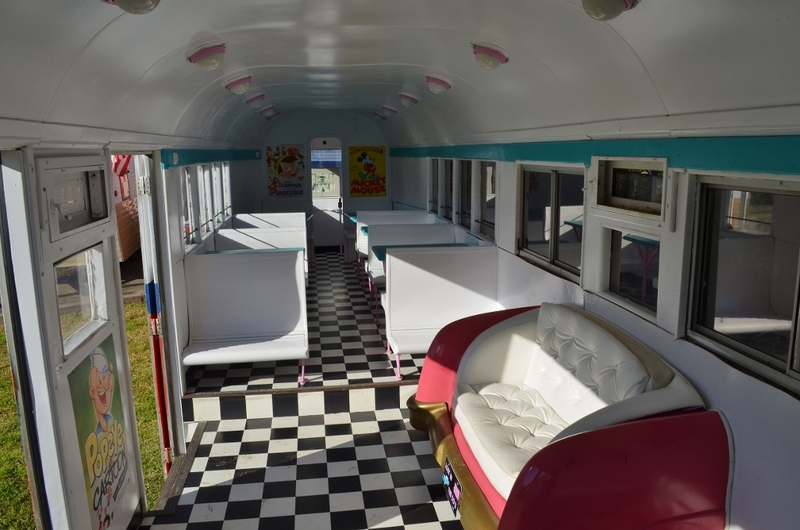 After a while we all sat in the Kansas City Line tram enjoying the sunshine and talking before heading off for lunch at the Minmi Pub.